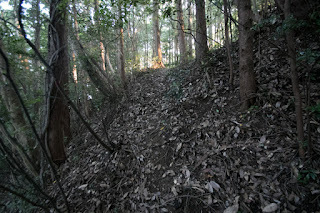 Tsuruga castle (鶴賀城) is built over Toshimitsu-yama mountain, one of about 150 meter height from hillside at about 10 kilometer southward of current Oita city. 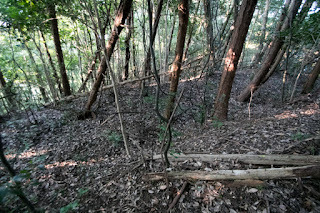 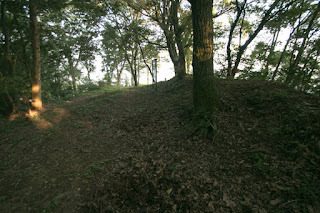 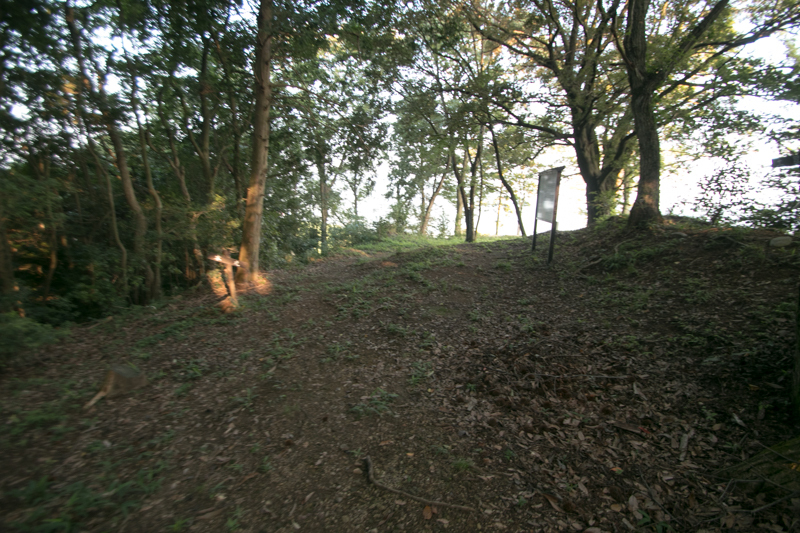 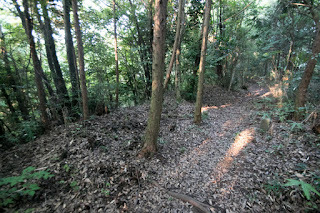 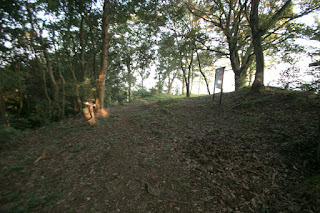 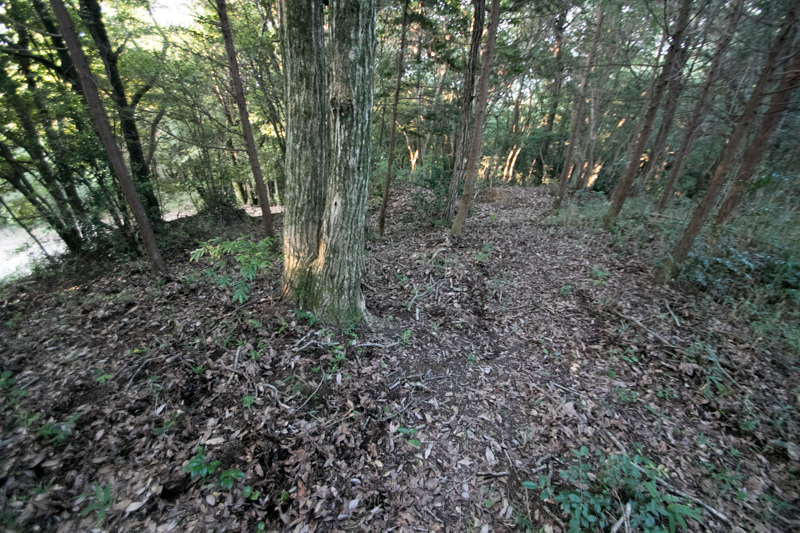 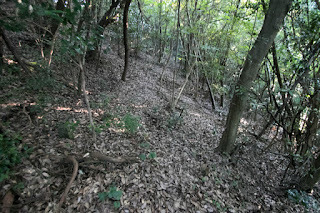 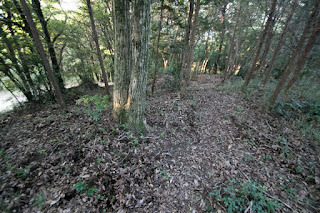 Castle site is the place where Ono-gawa river that forms Oita plain passes a narrow valley and flows northward into the plain, thus Tsuruga castle was a last defense point of the plain toward south. Even now Route 10, a main route from Oita city toward south part of Oita prefecture or Miyazaki prefecture runs just before the castle site. 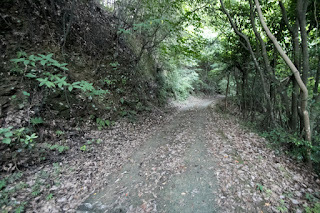 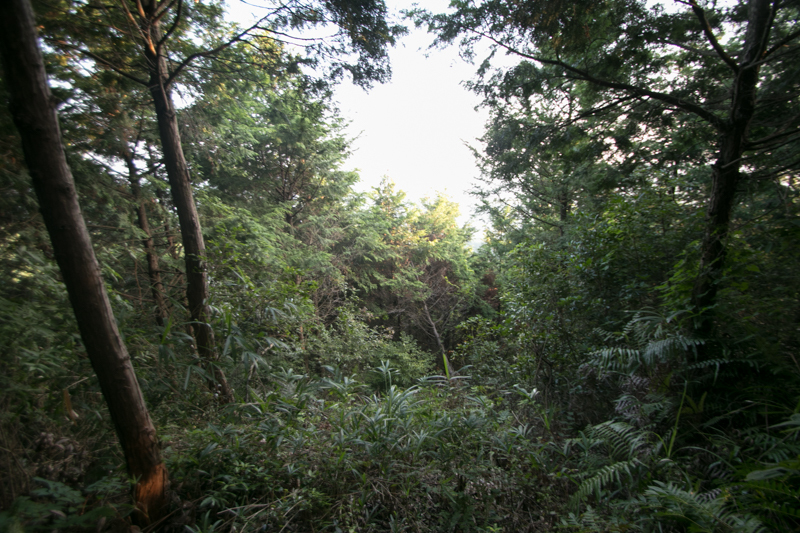 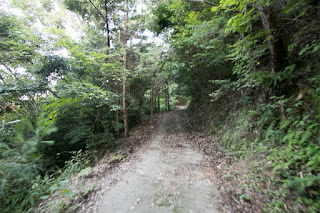 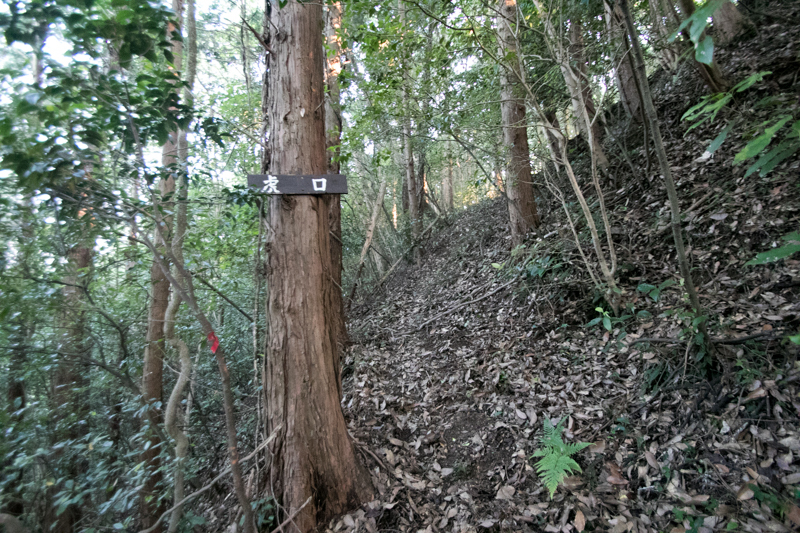 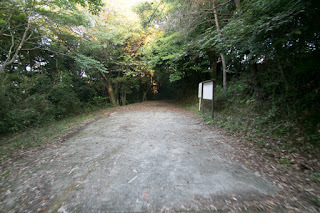 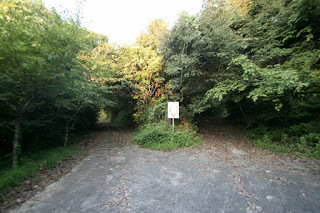 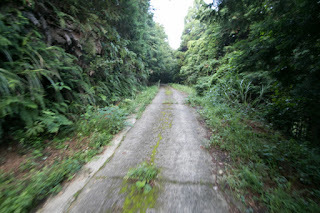 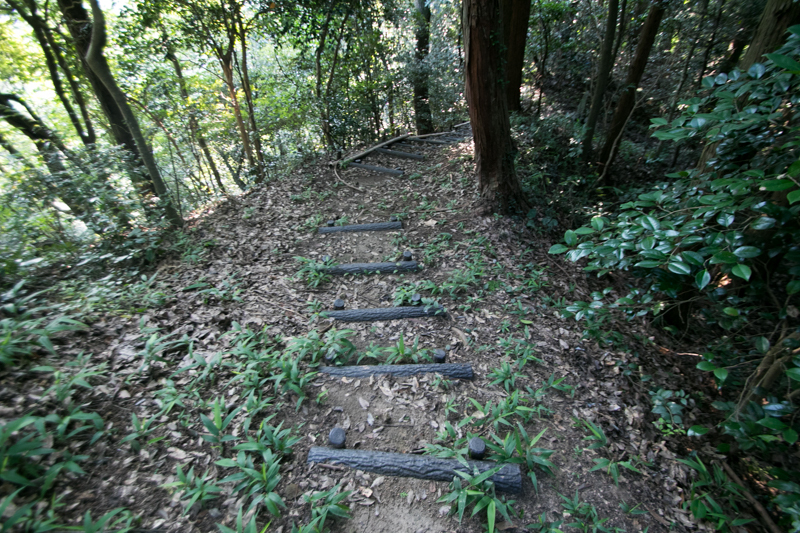 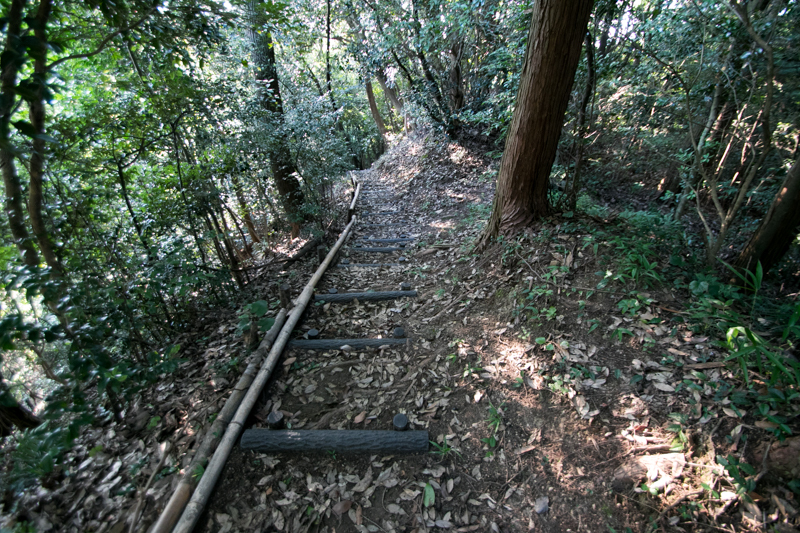 Furthermore, a mountainous road toward Usuki area diverged just at the next of the castle, and inland part of the province such as current Takeda city or Buzen Ono city exist at the side of Ono-gawa river. 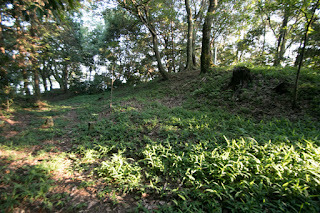 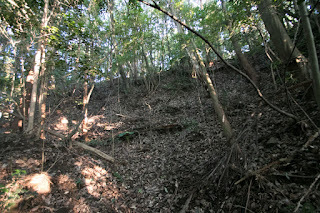 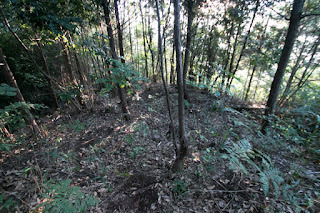 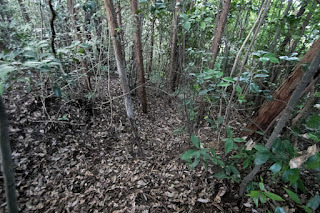 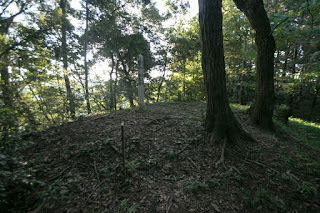 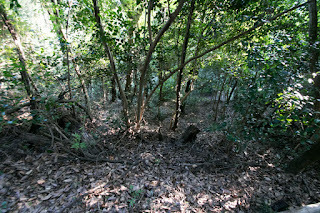 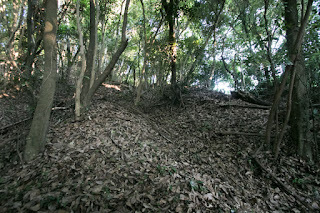 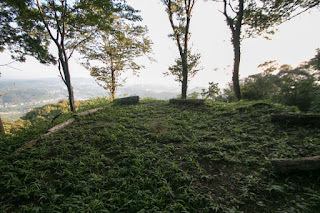 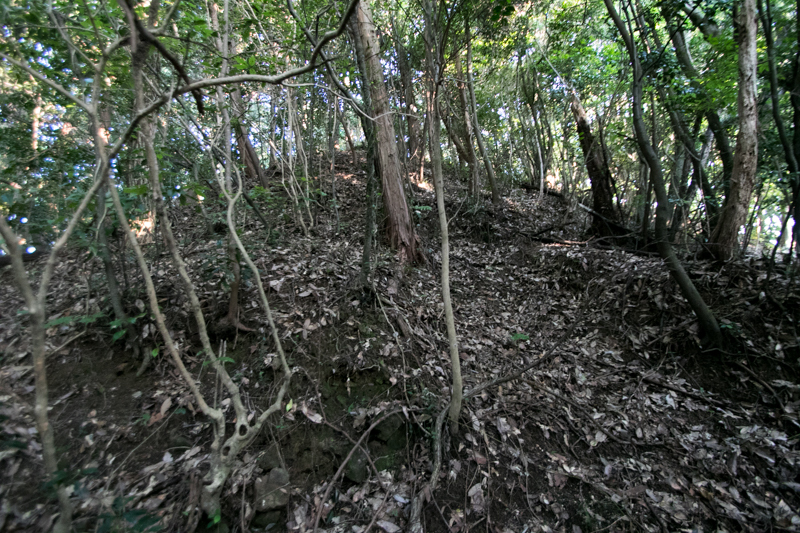 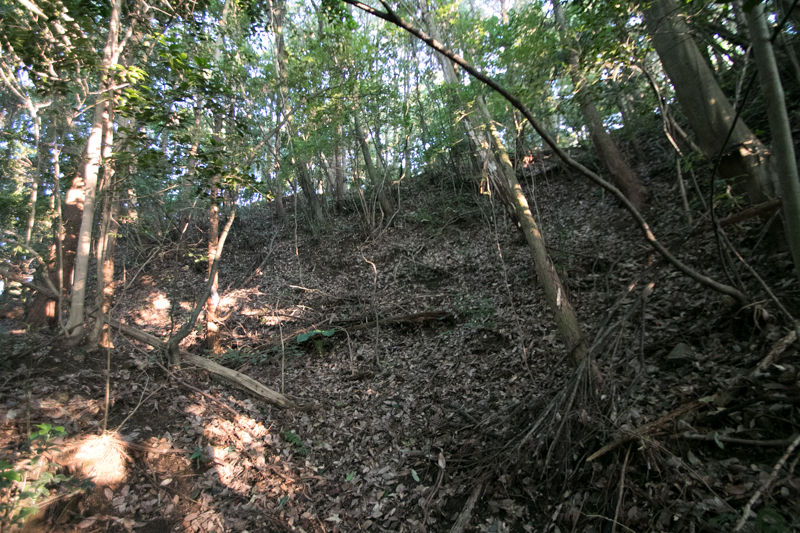 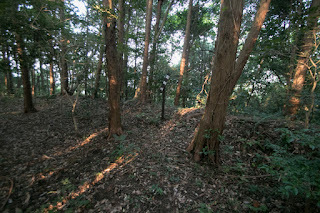 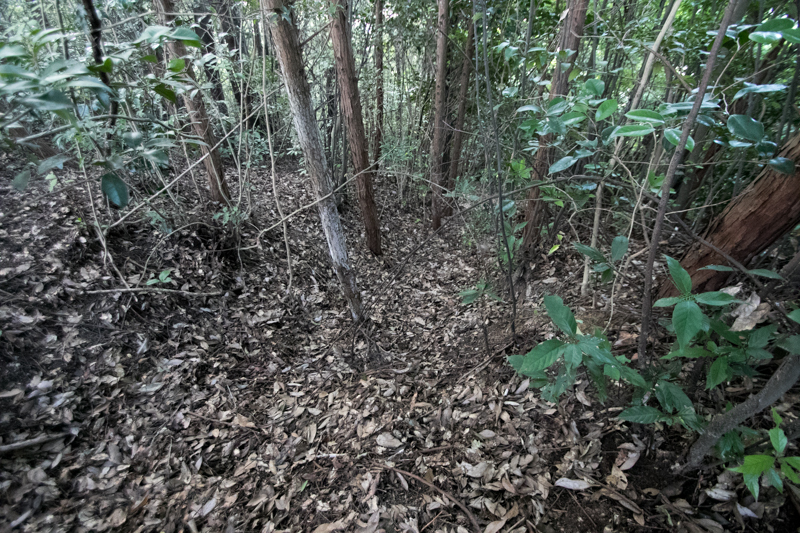 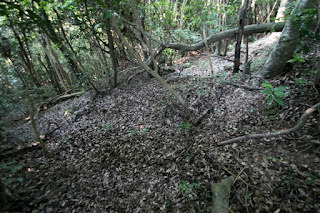 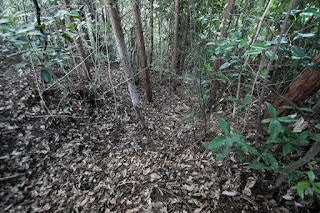 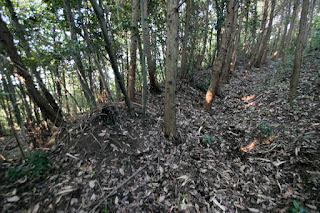 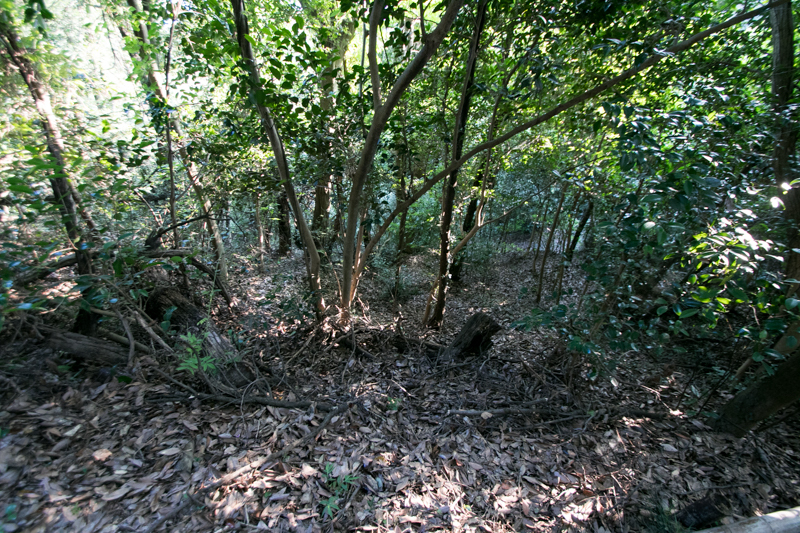 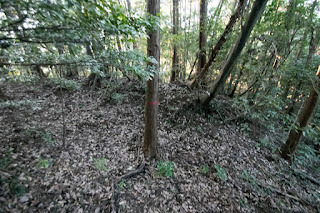 Castle site is just a connecting point of Bungo province. 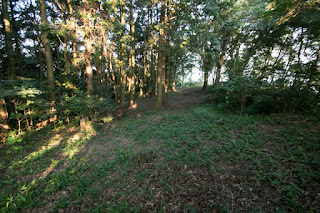 Precise year is unknown but Tsuruga castle is said to be built by local lord Ogata clan. After the establishment of Kamakura Shogunate in 1192, Yoshinao Otomo (1172-1223) was appointed as the governor of Bungo province. 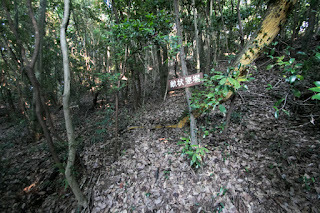 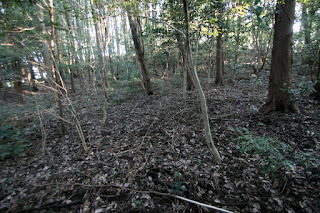 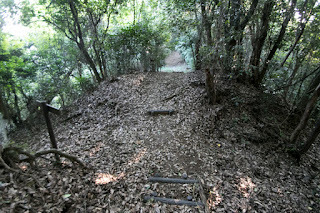 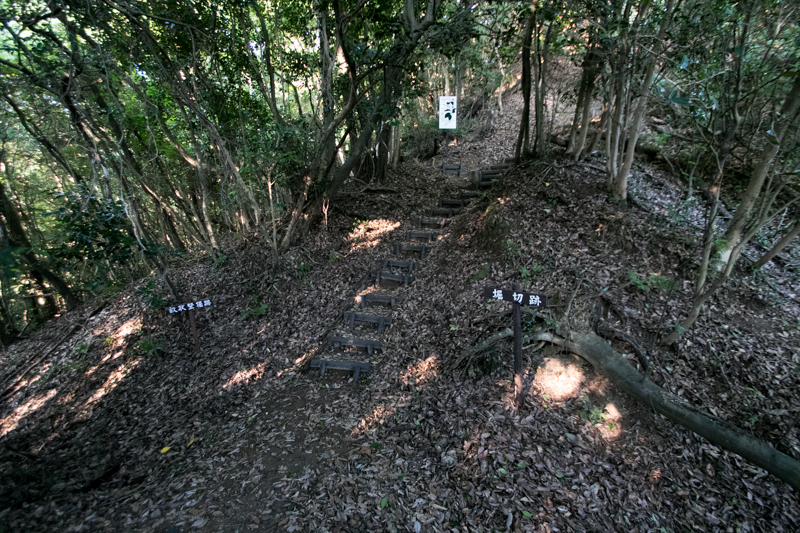 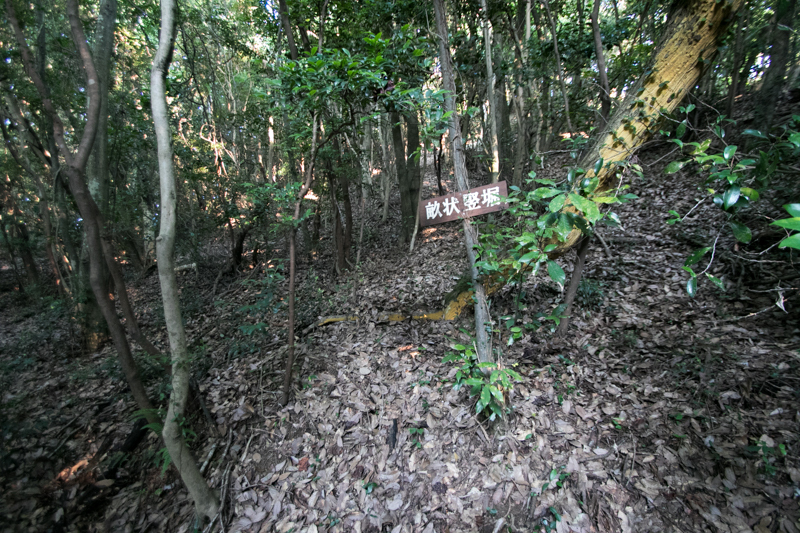 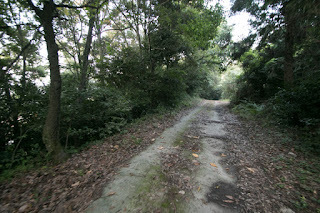 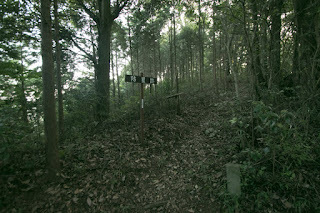 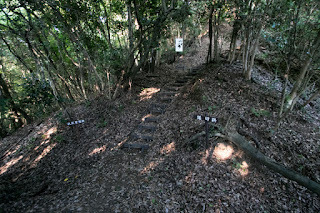 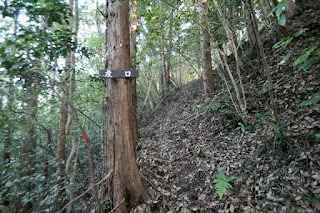 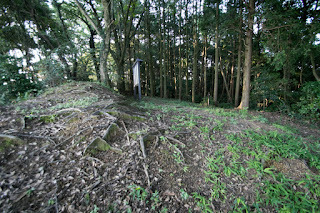 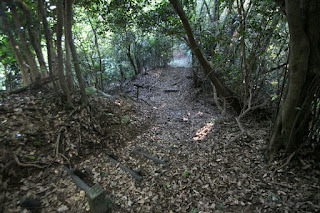 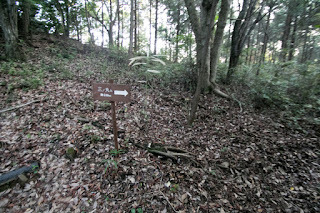 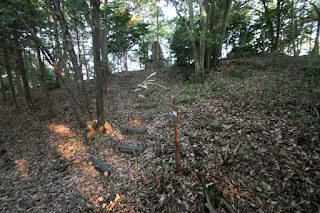 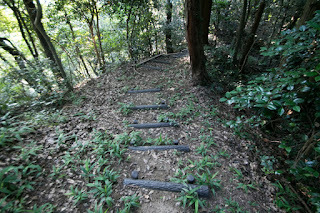 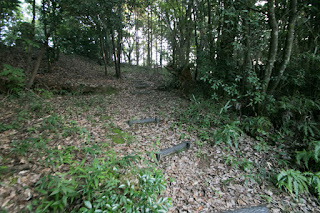 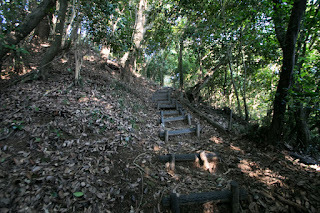 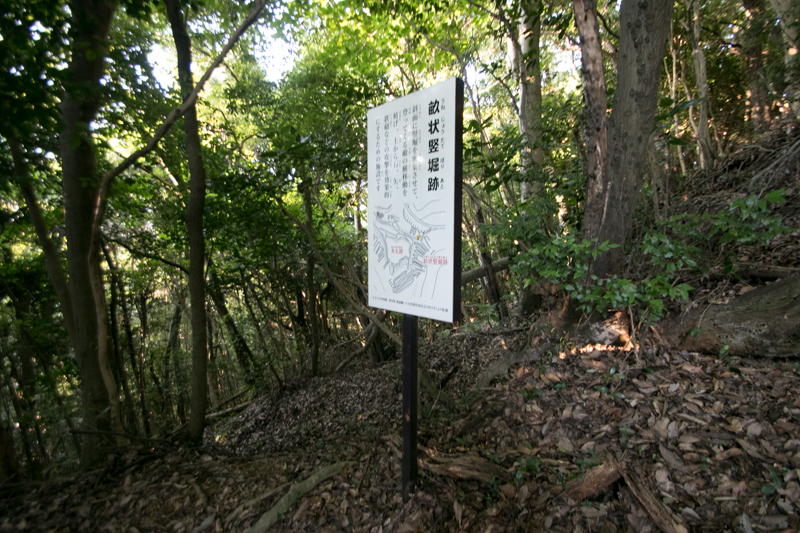 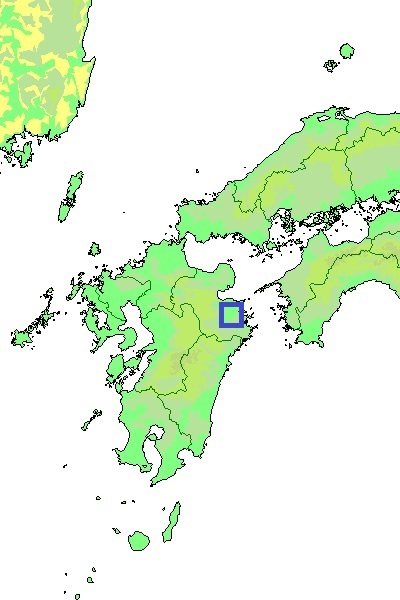 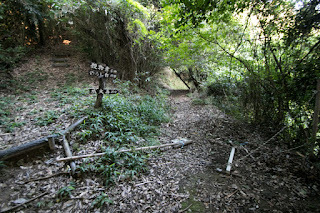 Yoshinao placed his relative at this important area, and later they named as Toshimitsu clan using the name of the area. 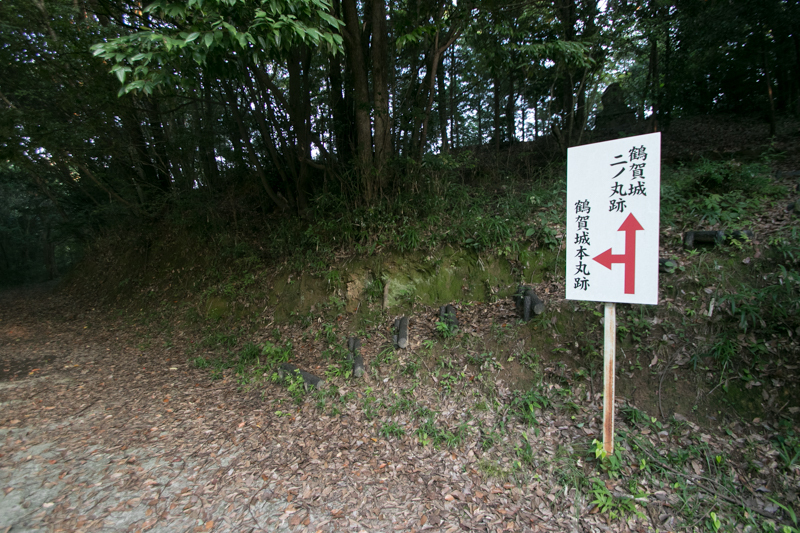 Since then Otomo clan gradually grew throughout Kamakura and Muromachi era, and once suffered from its internal conflict but at the time of Yoshinaga Otomo (1478-1518) and Yoshiaki Otomo (1502-1550), Otomo clan formed structure as a warlord and started expansion to surrounding provinces. 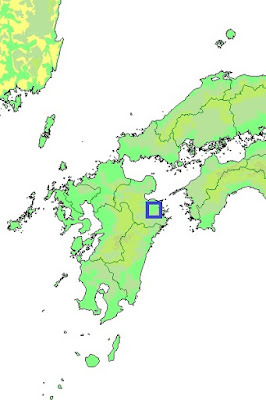 After fierce battles against Ouchi clan or Otomo clan, Yoshishige Otomo (1530-1587) once held most part of north and middle part of Kyushu island and once became the ruler of Kyushu island. 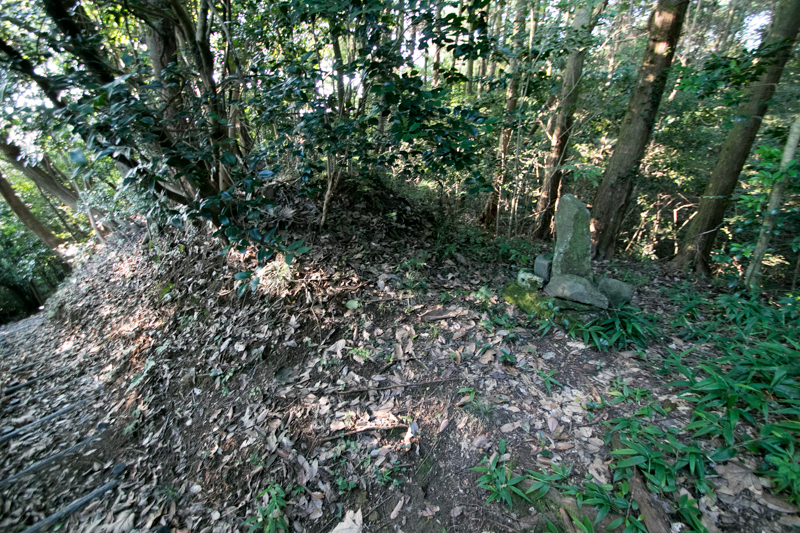 But in 1578, Otomo army suffered critical defeat before Shimazu clan, the warlord of Satsuma province (Kagoshima prefecture) at the battle of Mimikawa. 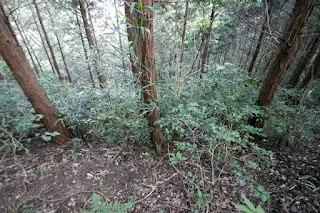 Subsequent to this defeat Otomo clan significantly declined because of leave of following local lords such as Ryuzoji clan or Akizuki clan, and rebellion of retainers. 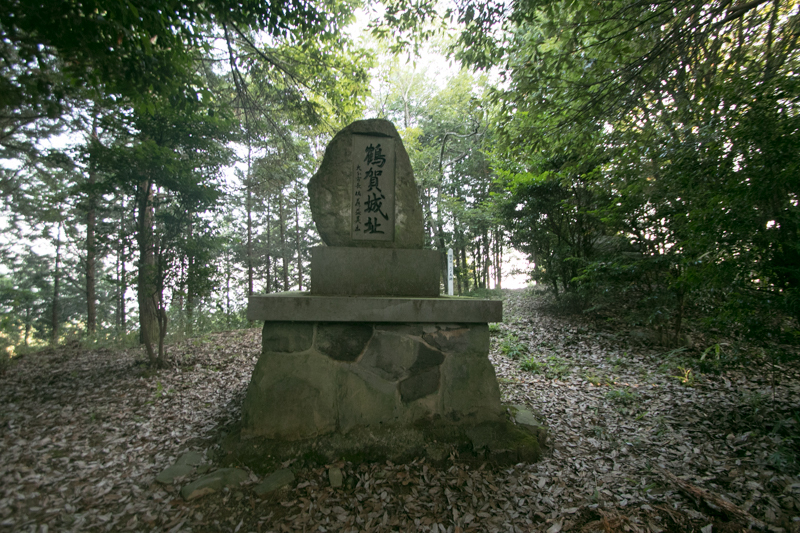 Yoshishige once retired at Usuki castle (Oita prefecture) supported his son Yoshimune Otomo (1558-1610) and struggled to restore the clan, but supporter and territory of the clan decreased day by day. 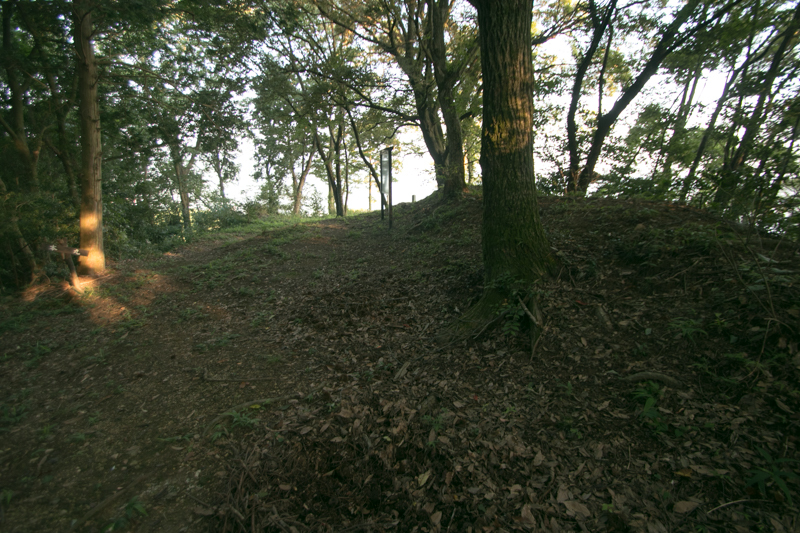 Preparing for the invasion of Shimazu clan or rebelled retainer, Otomo clan strengthened Tsuruga castle. 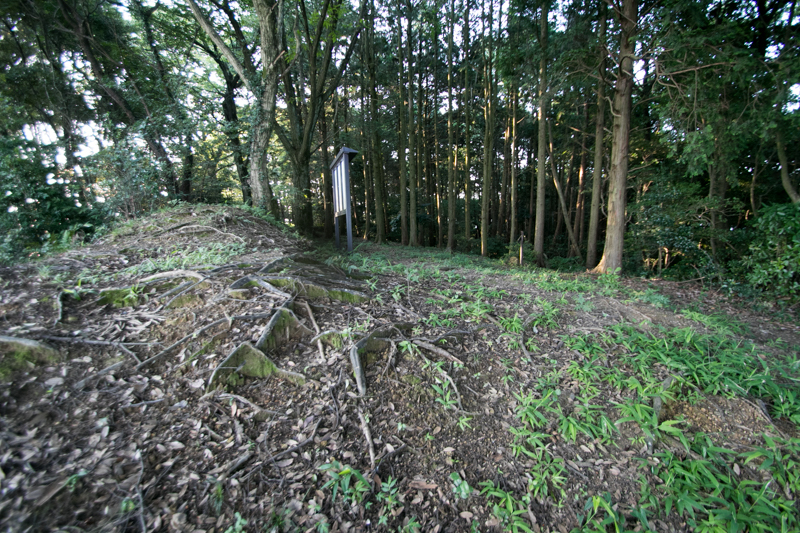 The central area of the castle is a trapezoid shaped one of about 80 meter long and 60 meter wide, separated into upper and lower layer. 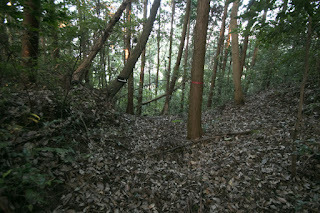 The upper layer might be a basement of watchtower,. 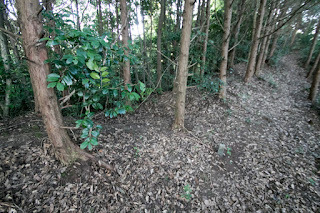 and lower one could be a ground of residence. 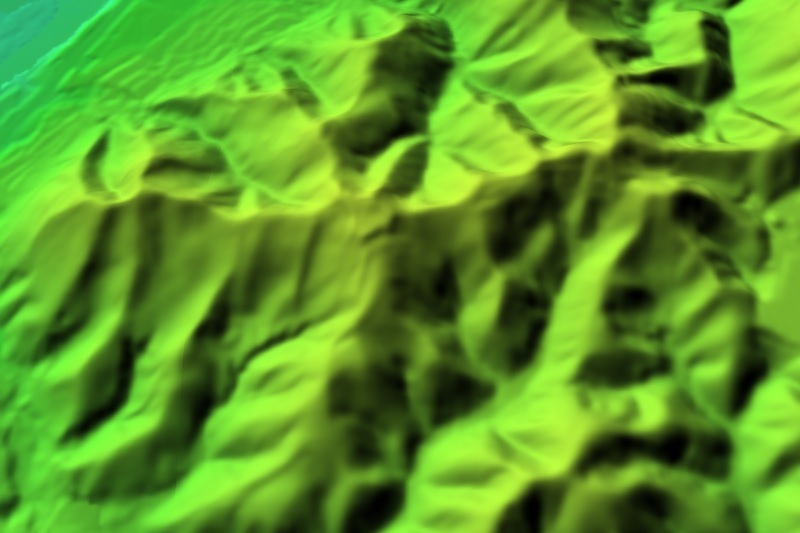 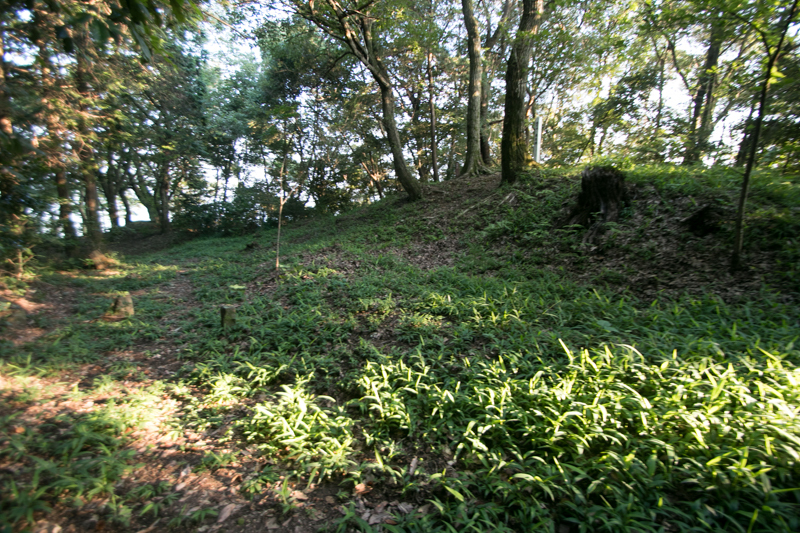 Small terraces attached at the south and east of the area, and original castle area might be limited to this part. 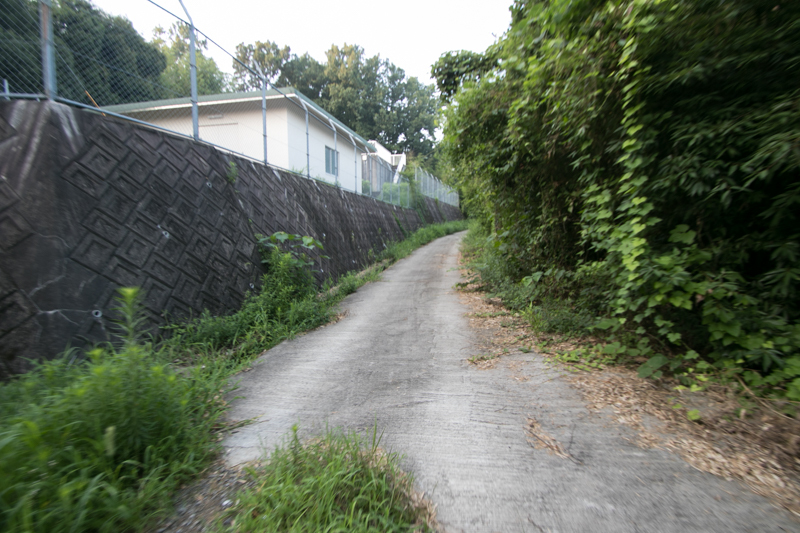 But considering the strong enemy and refuge of residents, core part was too small. 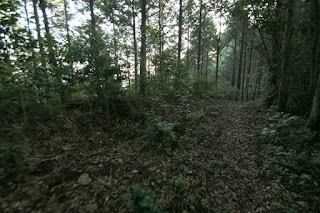 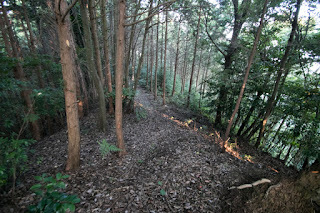 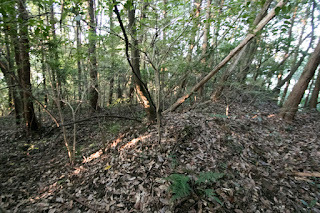 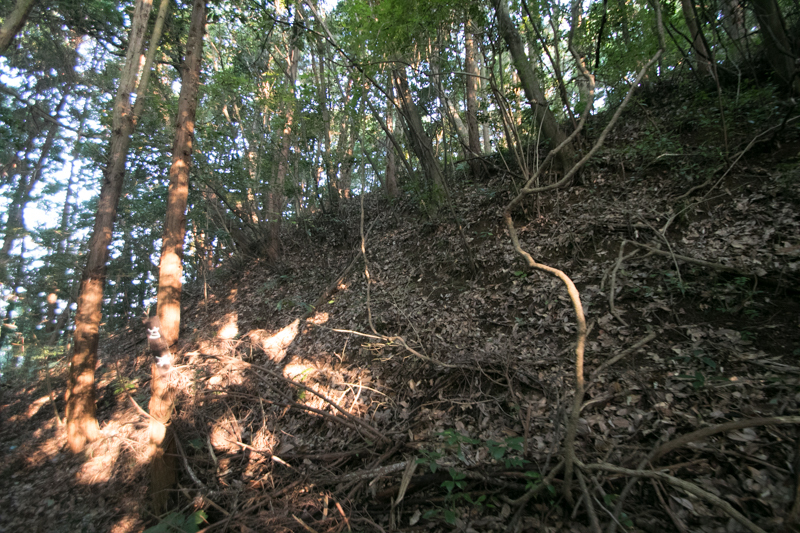 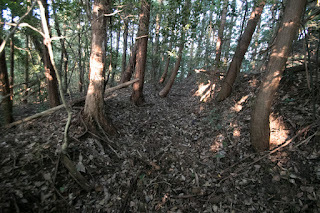 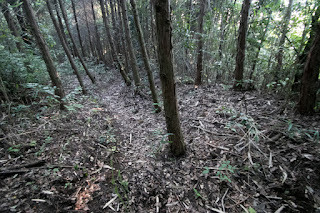 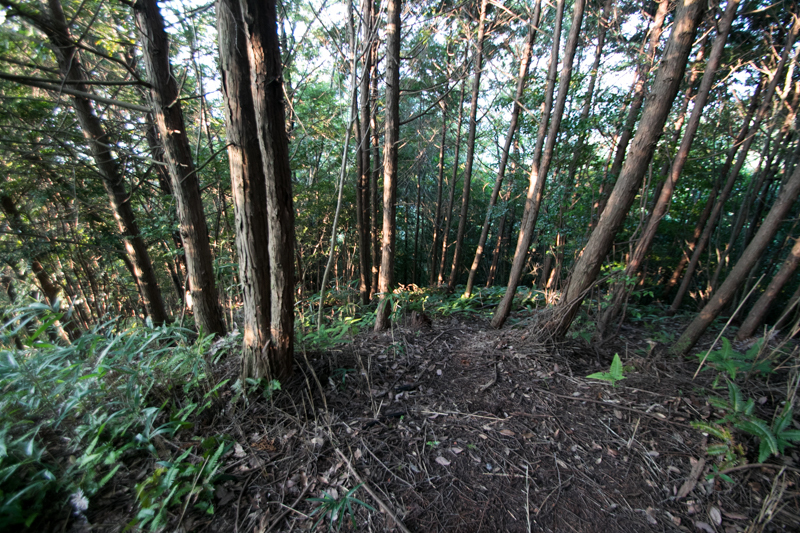 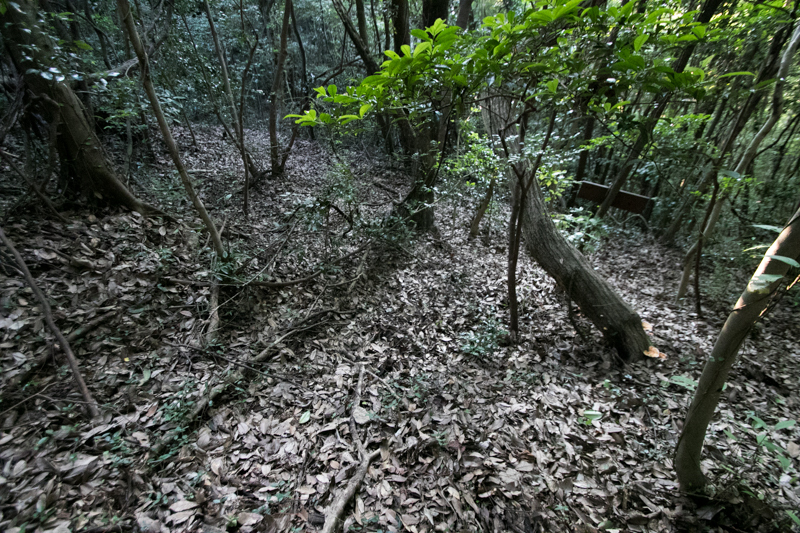 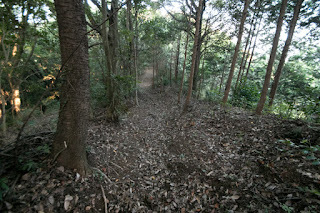 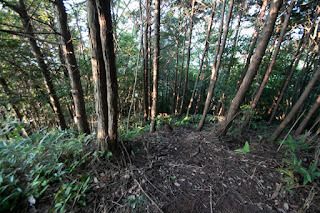 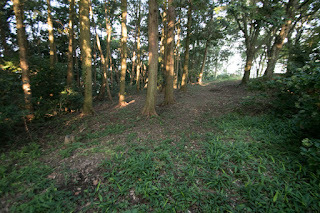 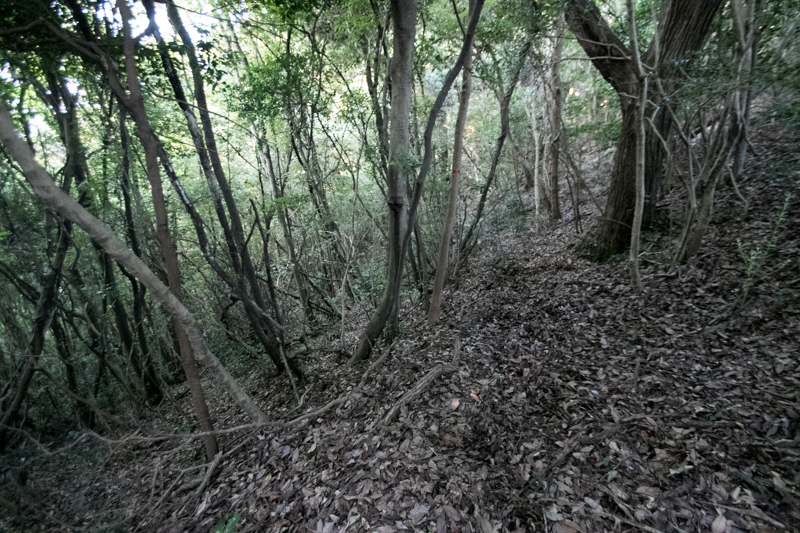 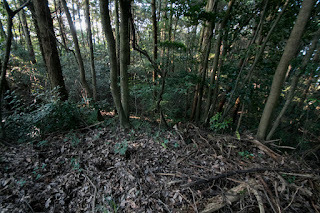 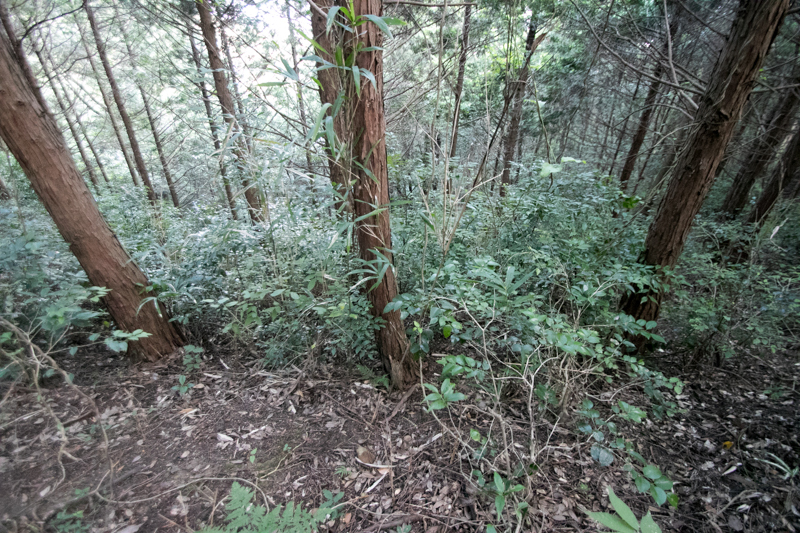 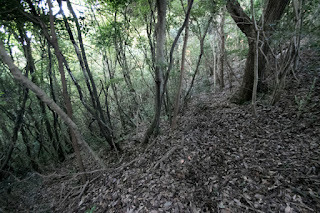 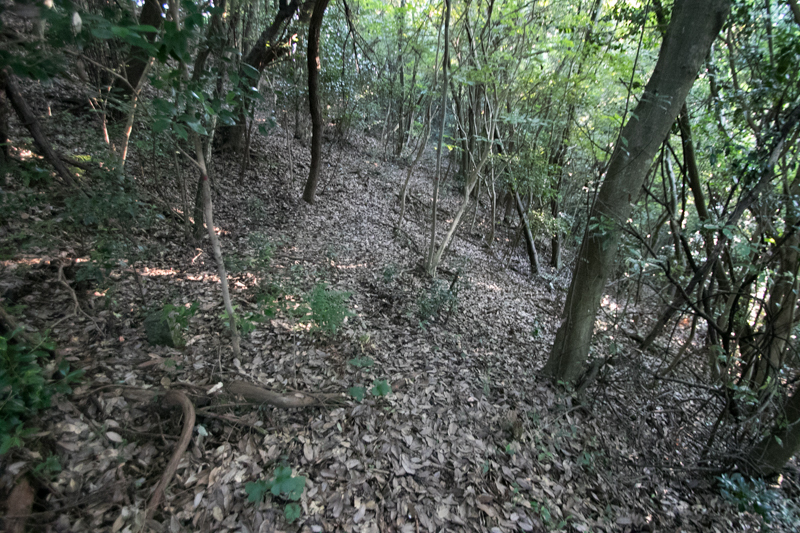 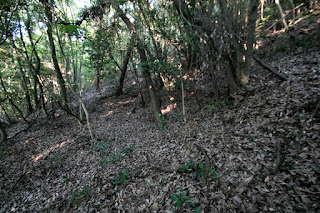 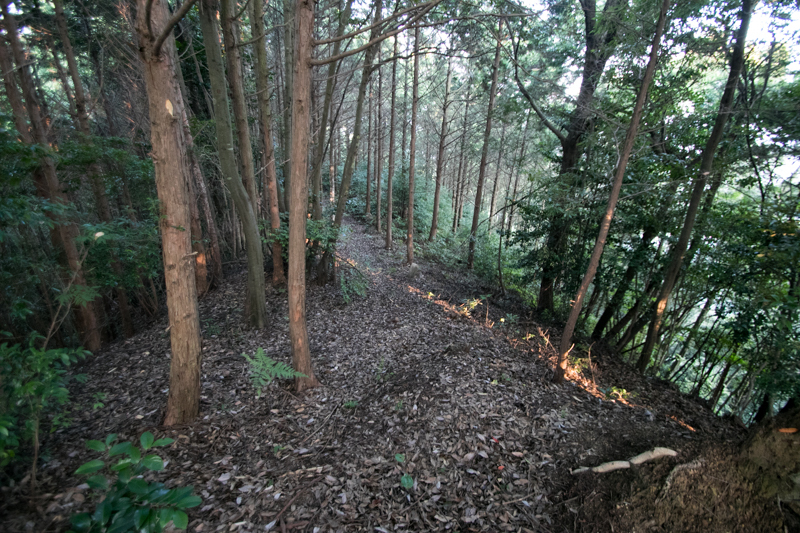 Beside, long continuing gentle ridge toward east and north could be approach lines of the enemy. 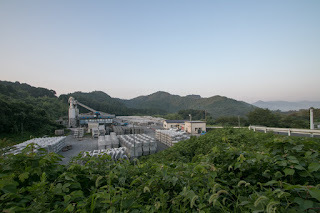 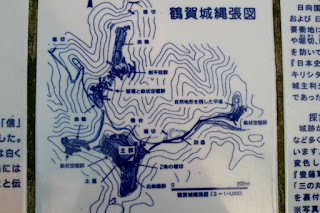 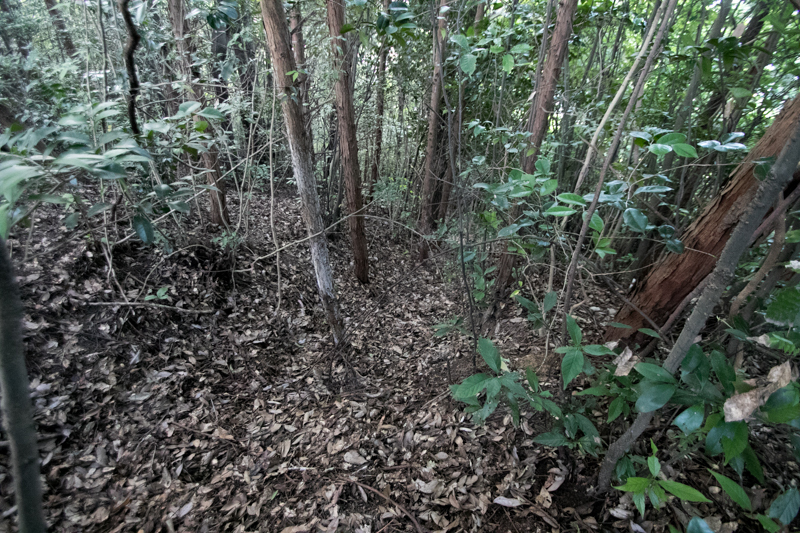 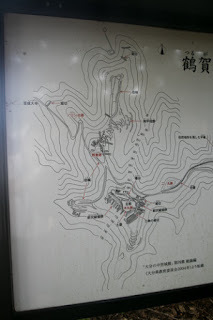 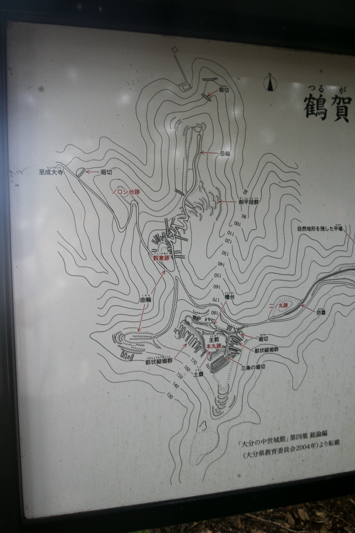 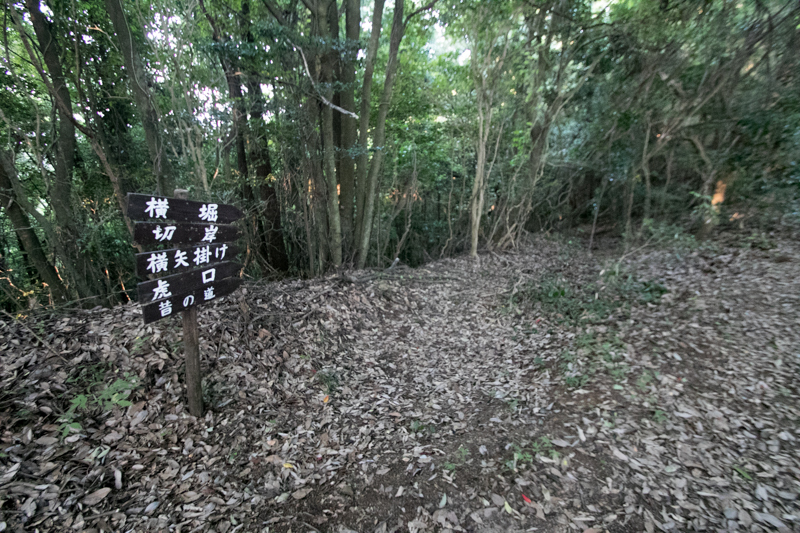 Therefore secondary area and third area were built at eastern ridge which is a main approach route, and storage space was added at north ridge. 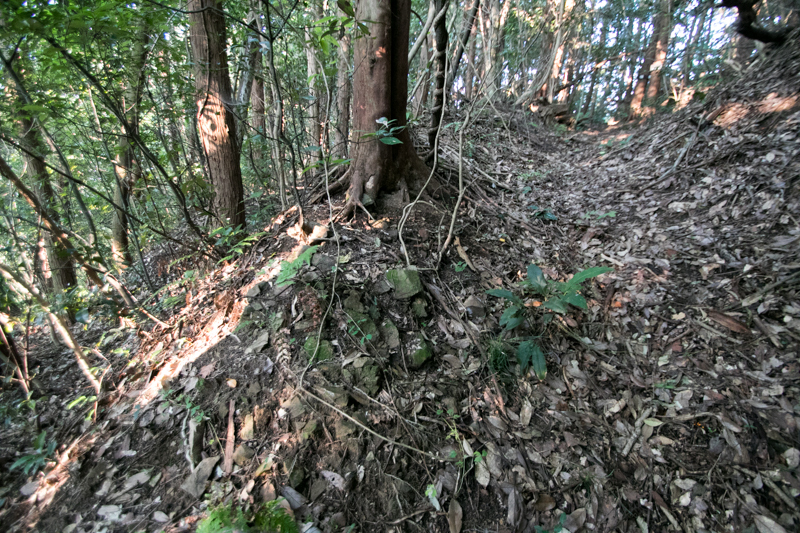 Core part of the castle and these outer area is connected by the pass protected by clay wall. 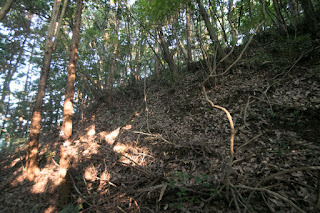 Furthermore, slopes of each terraces were securely guarded by numerous vertical dry moats to obstruct the movement of enemy like a waving galvanized iron plate, According to the record 3,000 people besieged at this castle, and finally the castle area might be expanded to whole part of the mountain. 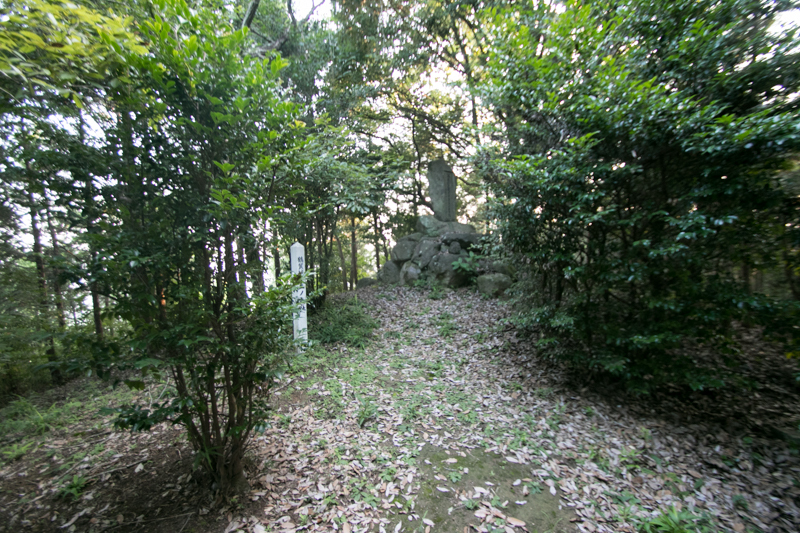 In 1586 Autumn, Shimazu army finally started total attack against Otomo clan, and a detached force lead by Iehisa Shimazu (1547-1588) marched toward Funai city from southward. Iehisa encircled Tsuruga castle with over 10,000 soldiers at the end of 1586, and Toshimitsu clan only had 3,000 soldiers including civilians. 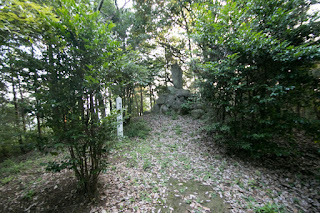 Sogyo Toshimitsu (?-1587), the commander of the castle, was absent to suppress other rebel but returned to the castle in haste. Once the son of Sogyo allied with Shimazu army, but Sogyo assaulted Shimazu army then entered the castle and firmly resisted against Shimazu clan. 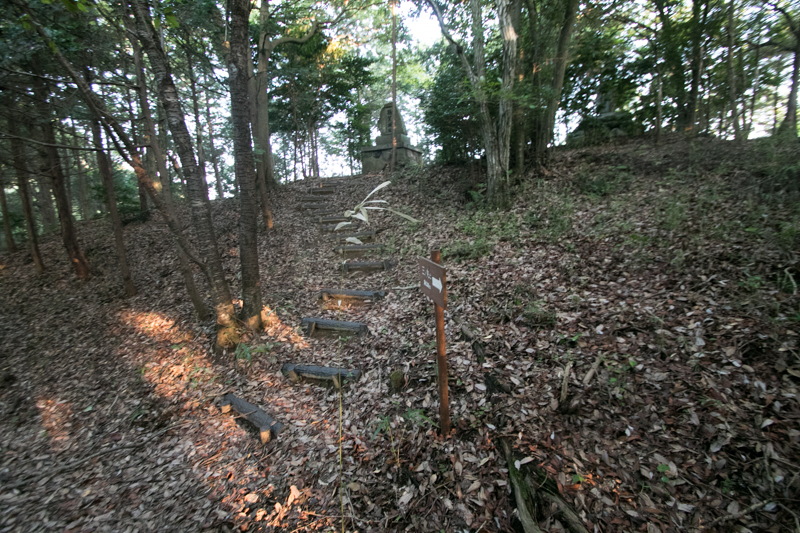 In the beginning of December Shimazu clan made forced attack toward the castle. 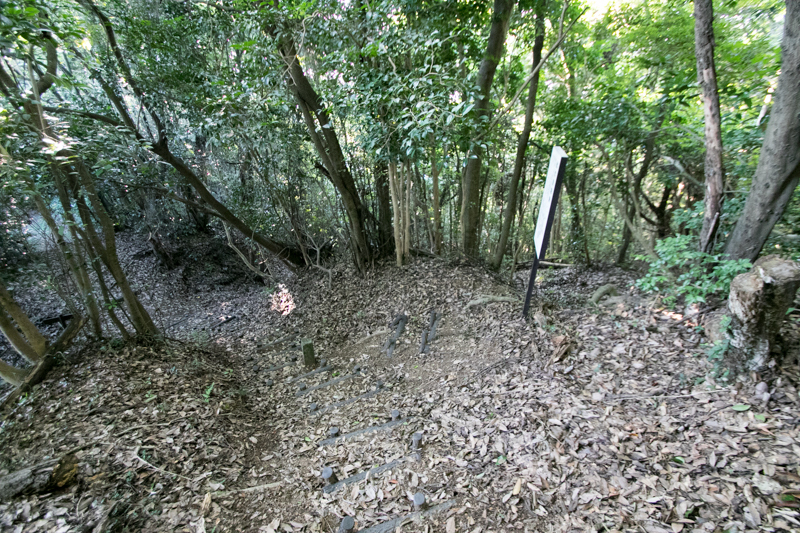 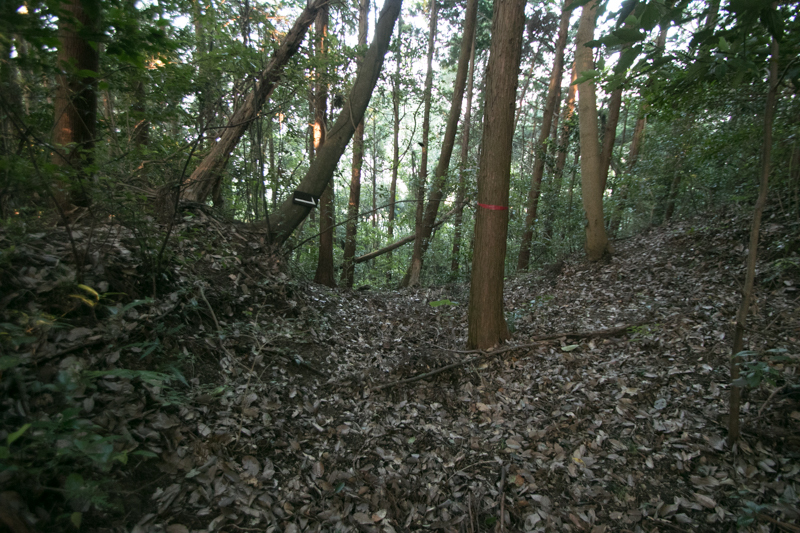 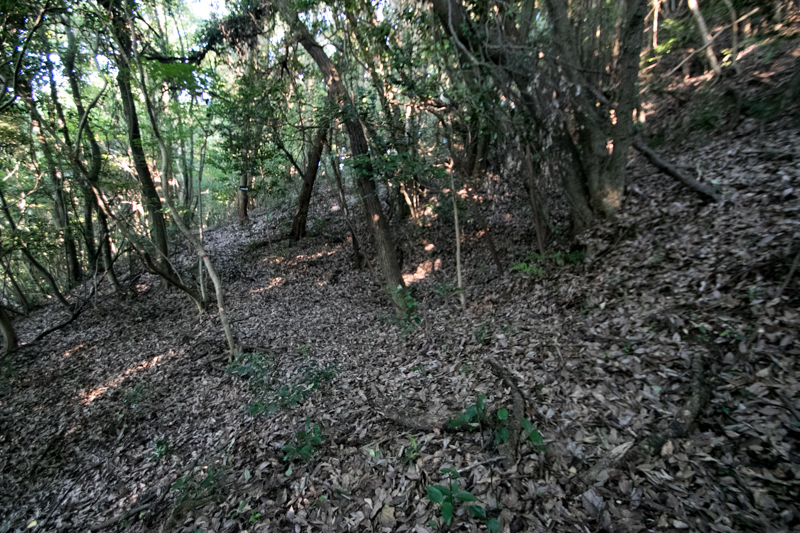 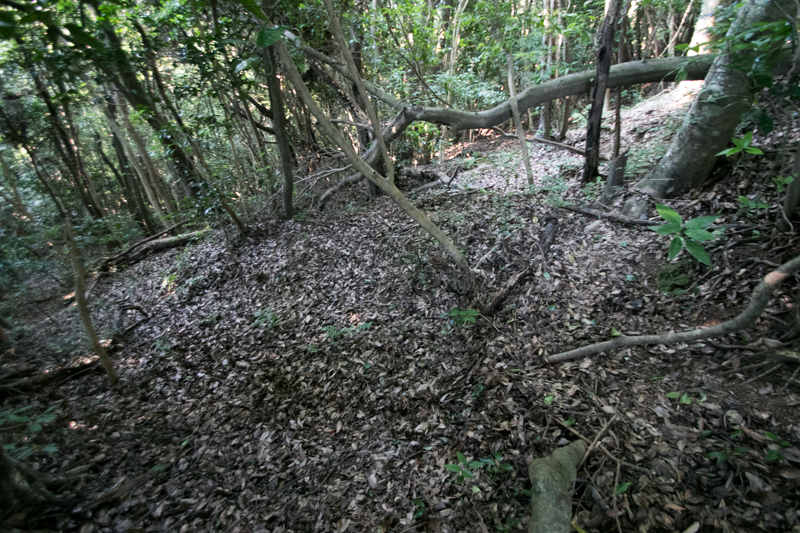 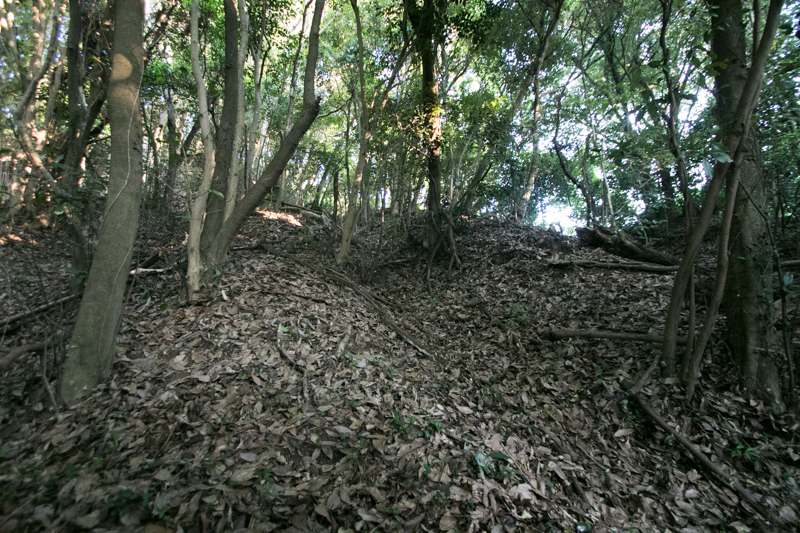 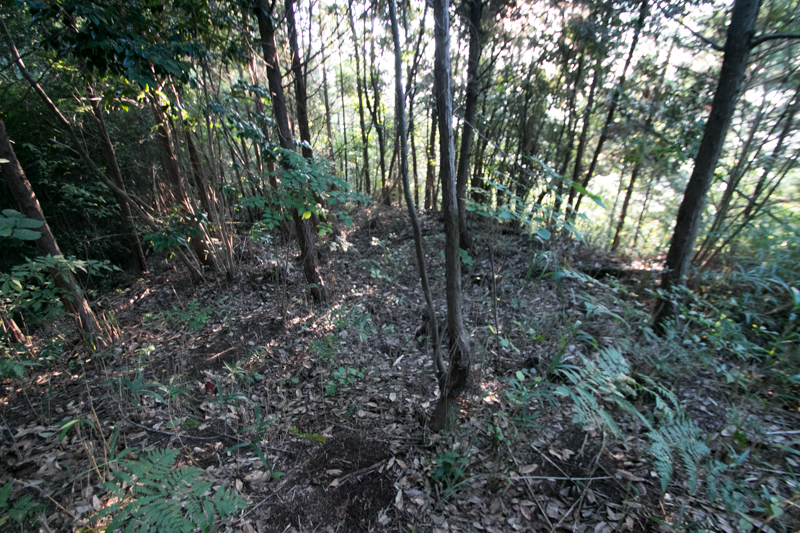 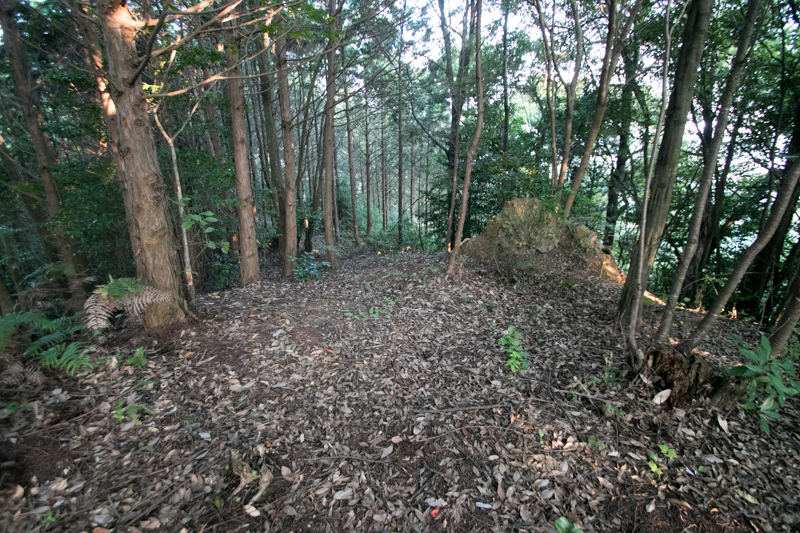 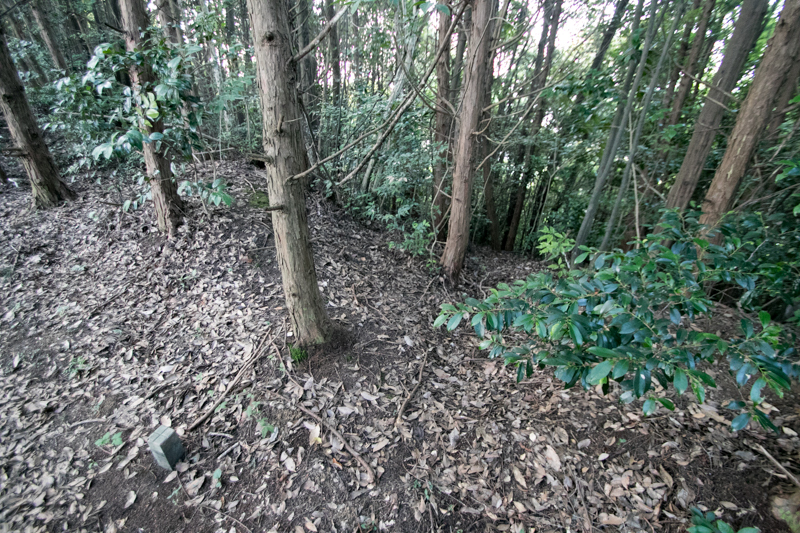 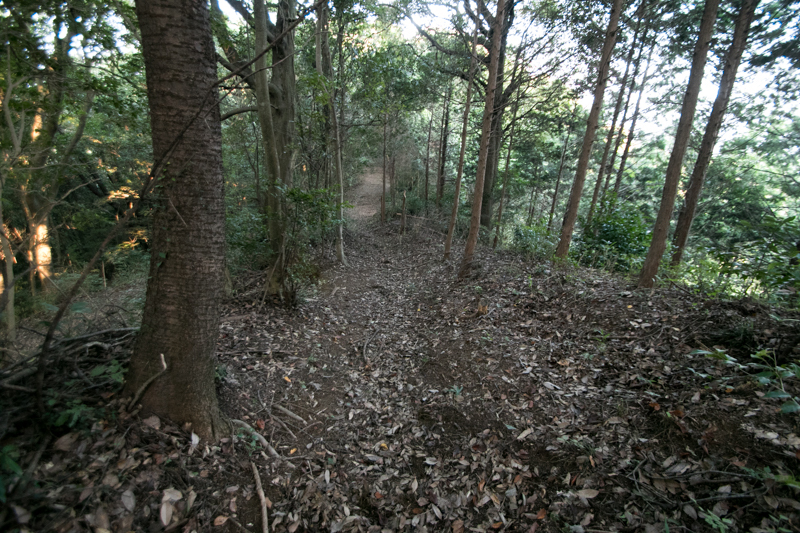 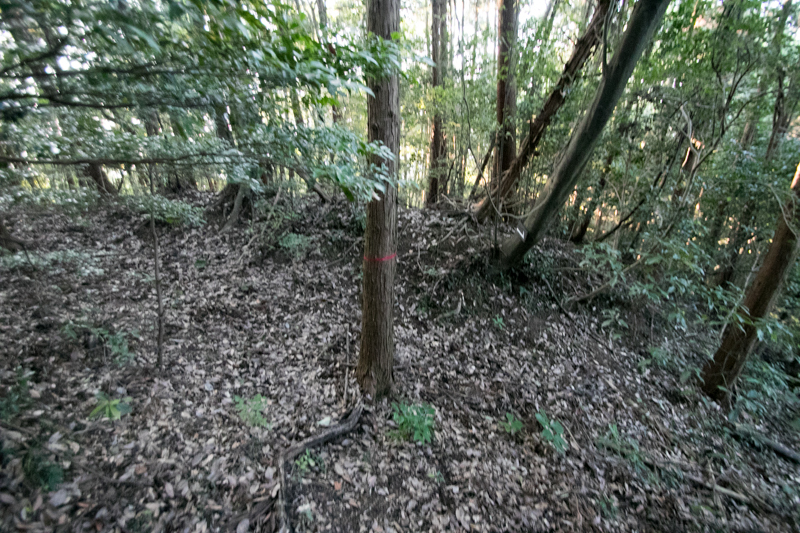 Being suffered by obstacles and counter attack of the castle, Shimazu army finally captured secondary area and third area of the castle. 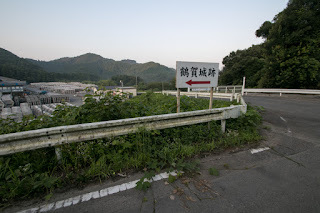 Furthermore, Sogyo Toshimitsu who looked the situation was hit by stray bullet and died. 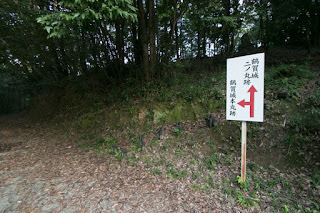 Toshimitsu army hided the loss of their commander and once rejected the attack of Shimazu army to the central area. 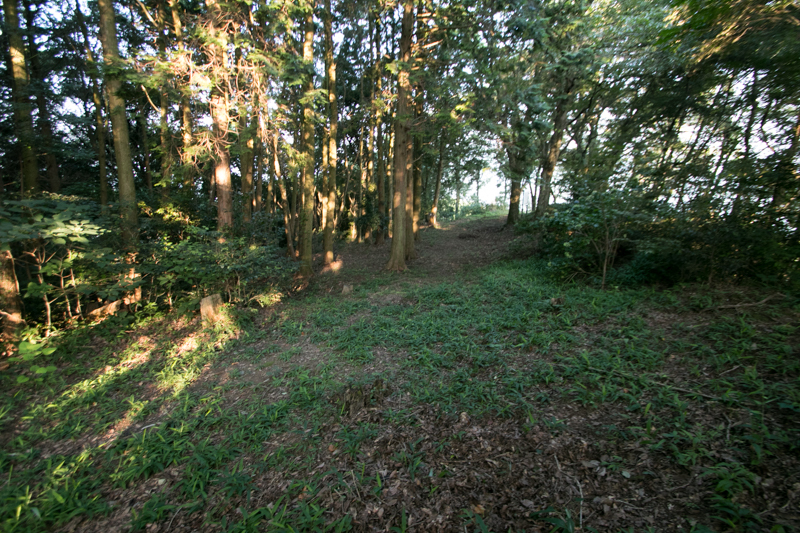 Hearing the request for the reinforcement from Tsuruga castle, Yoshimune Otomo sent his army as the reinforcement. As Yoshishige Otomo asked assistance to central ruler Hideyoshi Toyotomi (1537-1598), Hideyoshi already sent his retainer Hidehisa Sengoku (1552-1614) and subordinate lords Motochika Chosokabe (1539-1599) and Masayasu Sogo (1554-1587) as a support to Otomo clan. 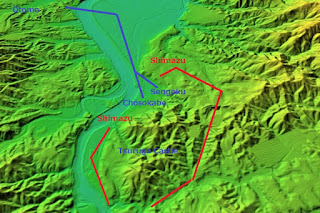 These three generals were the lords of Shikoku island, but just fought at the Shikoku campaign of Hideyoshi in 1585 and had a grunge. 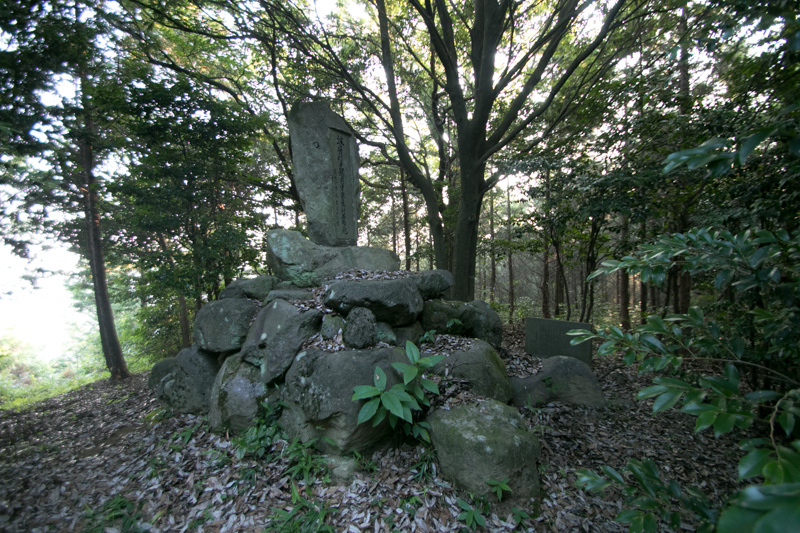 Beside, Masaharu Mikoda (?-1587), former colleague of Hidehisa, was expelled by Hideyoshi in 1584 accused by passive attitude at the battle. On the other hand, Yoshimune Otomo and his retainer already lost the morale. 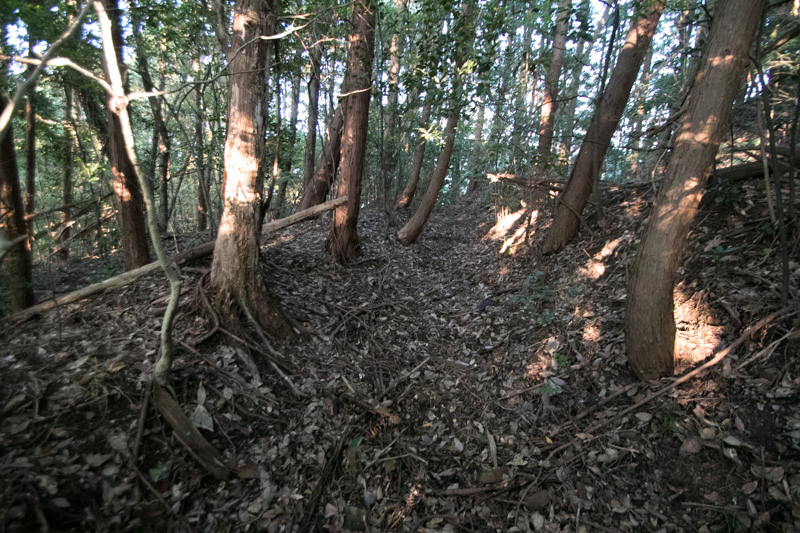 When Otomo army and Shimazu army faced at the both side of Ono-gawa river, Hidehisa strongly insisted to cross the river and attack Shimazu army. 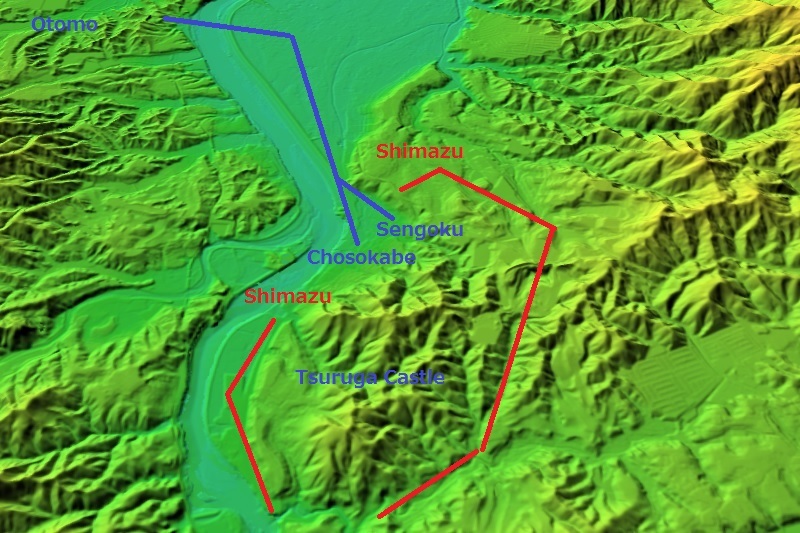 As Sengoku and Chosokabe army only had 8,000 soldiers compared with over 10,000 Shimazu army and was stranger for the area, Motochika insisted waiting but Hidehisa decided to attack the enemy by himself. 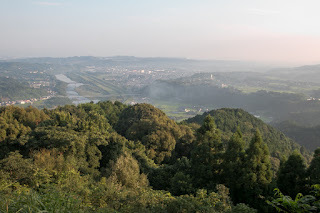 On December 12th, Otomo army crossed Ono-gawa river and attacked Shimazu army. 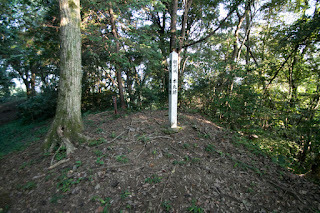 Chosokabe army once broke the vanguard of Shimazu army and chased them to the side of Tsuruga castle. 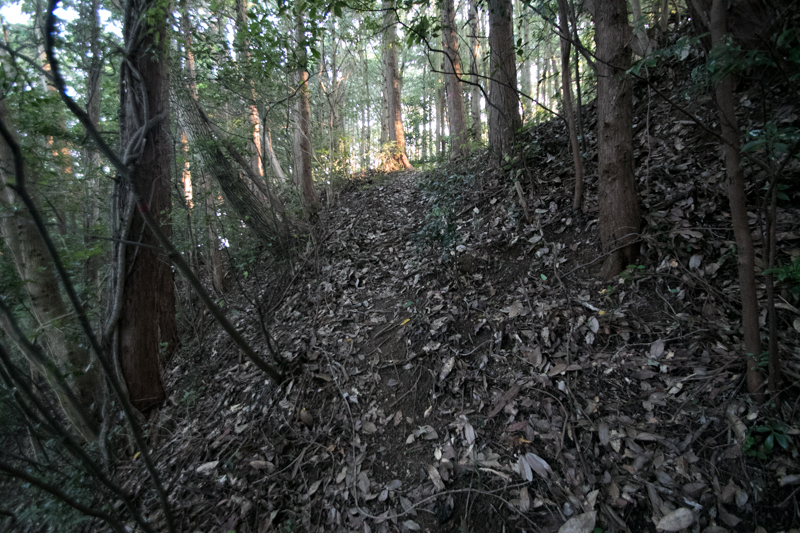 but this might be a trap of Shimazu army then Otomo army was lured into a narrow place between Toshimitsu-yama mountain and Ono-gawa river. 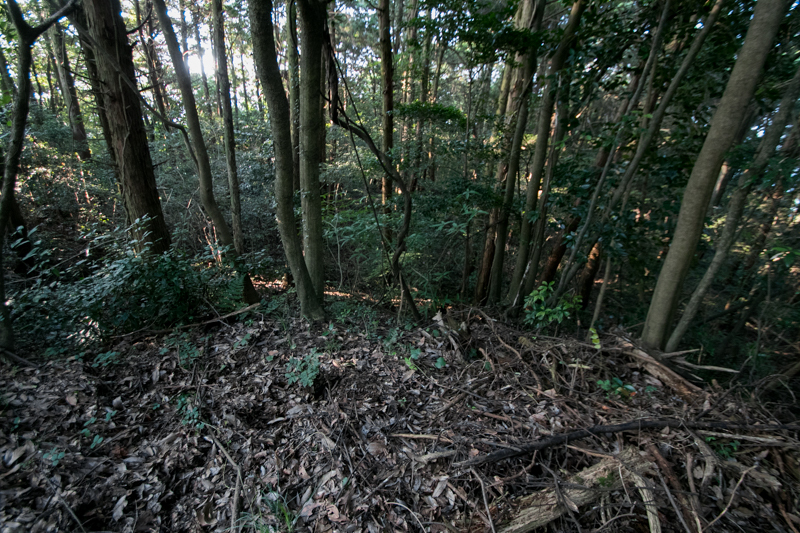 At this time the detached force of Shimazu army took a detour of Toshimitsu-yama mountain and made side attack to Otomo army from higher place. Sengoku army collapsed in a moment, and Miyoshi army attached to Sengoku army was ruined with their lord Masayasu Sogo. 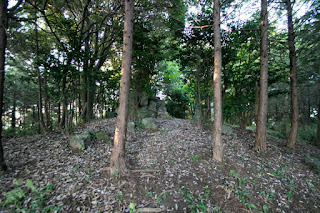 Chosokabe army stayed the battlefield to the last, but being captured by the river and the fierce attack of Shimazu army, Nobuchika Chosokabe (1565-1587), the eldest son of Motochika died in the battle, and Motochika himself barely left the battlefield. 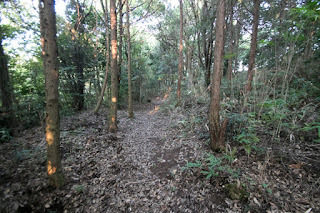 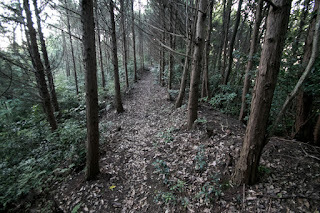 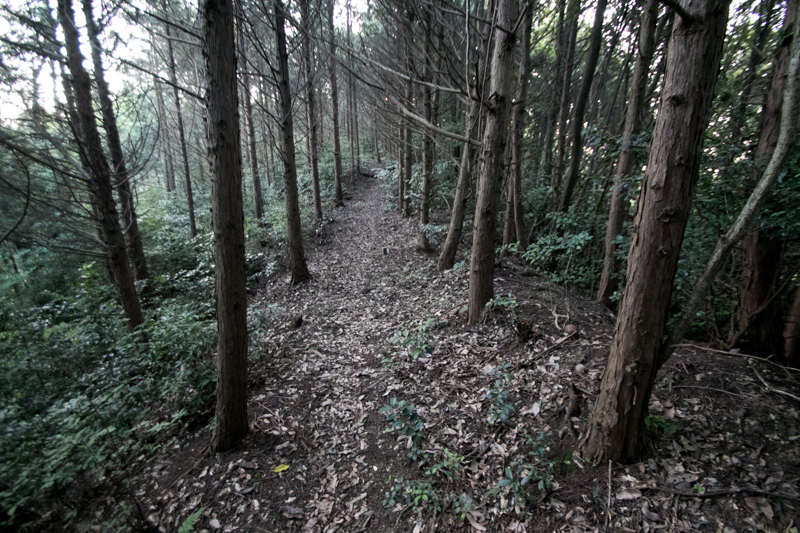 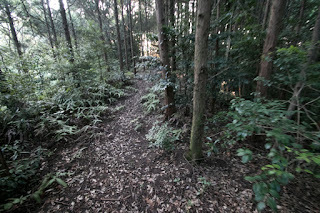 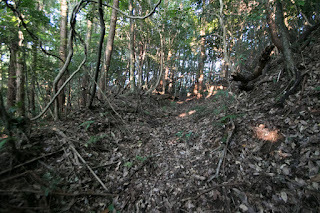 Hidehisa ran away toward his territory at full speed, and was blamed for his decision and behavior. 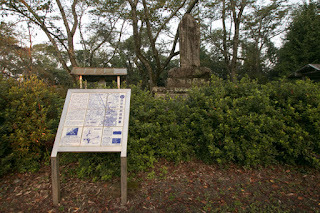 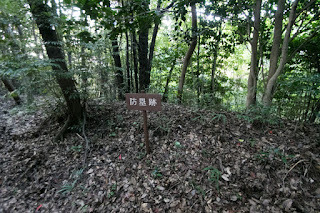 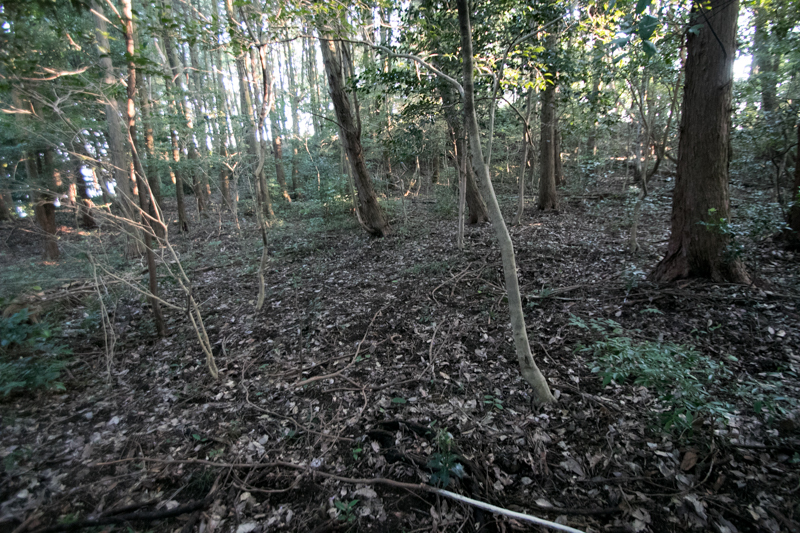 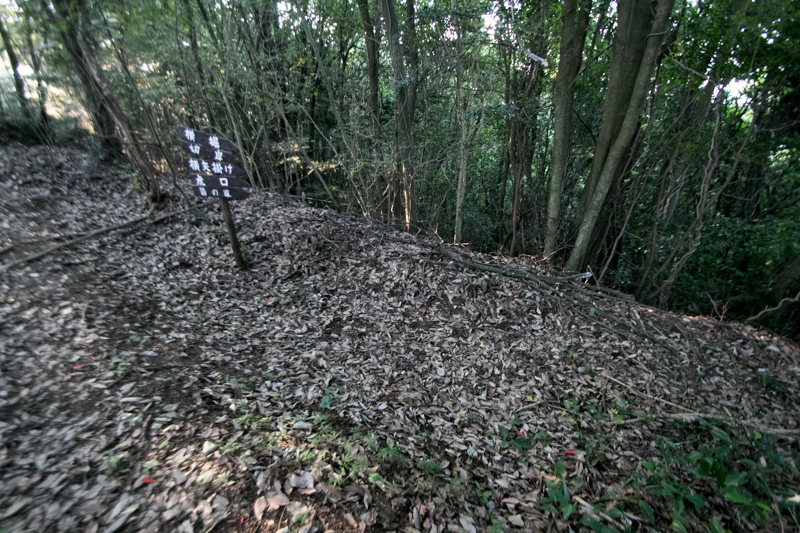 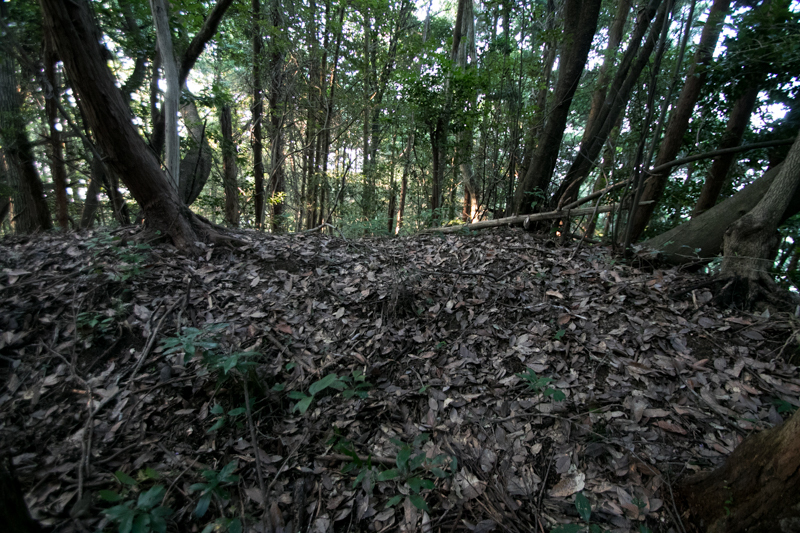 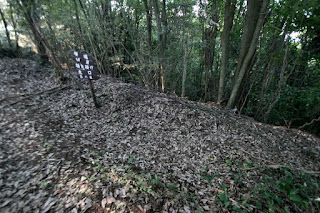 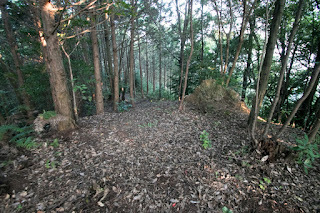 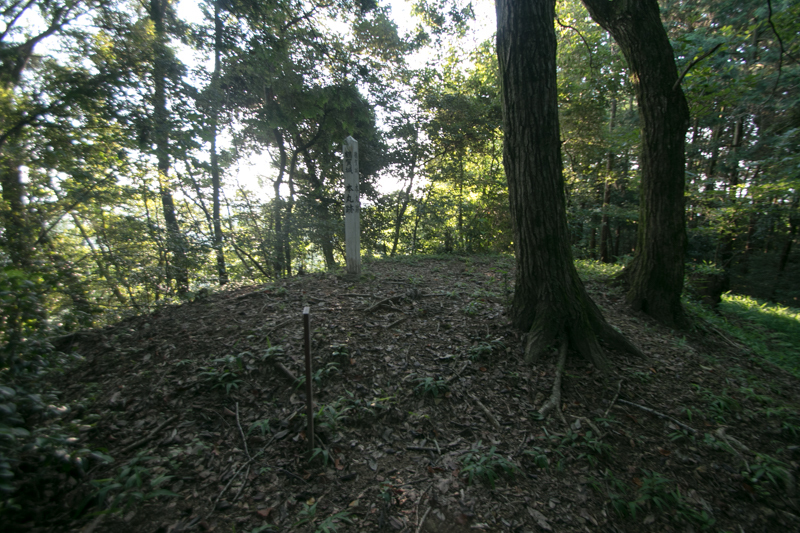 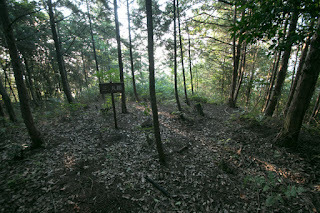 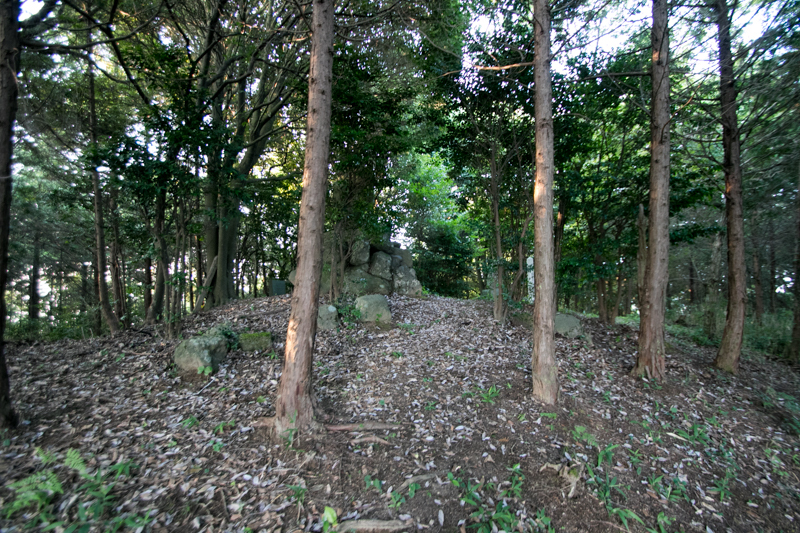 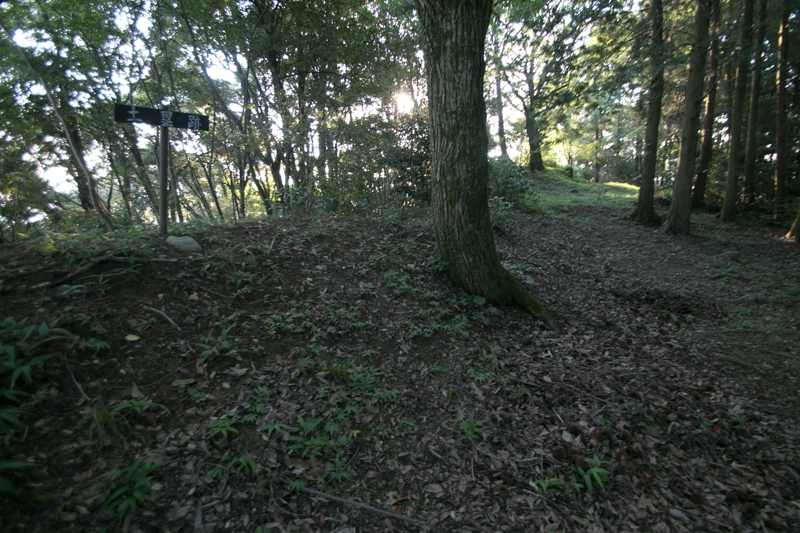 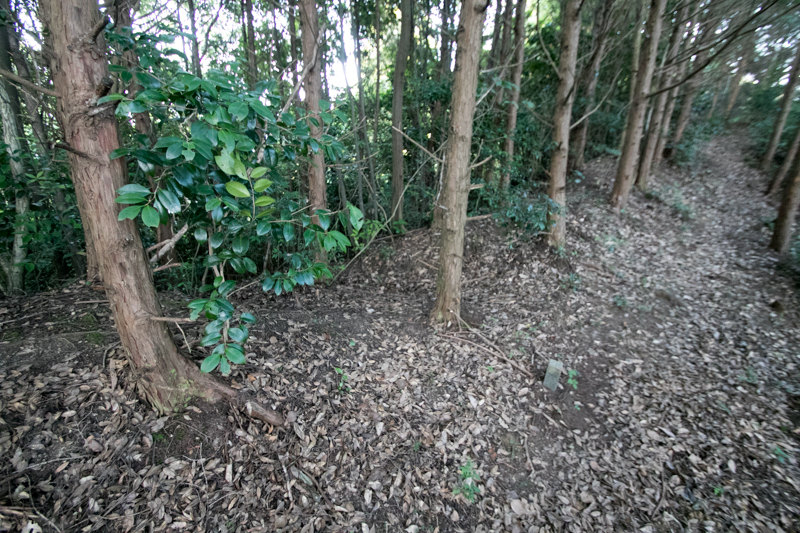 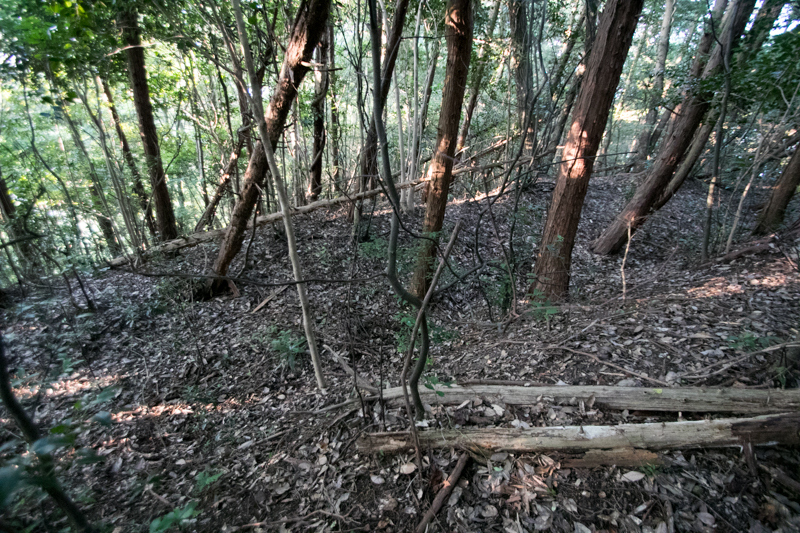 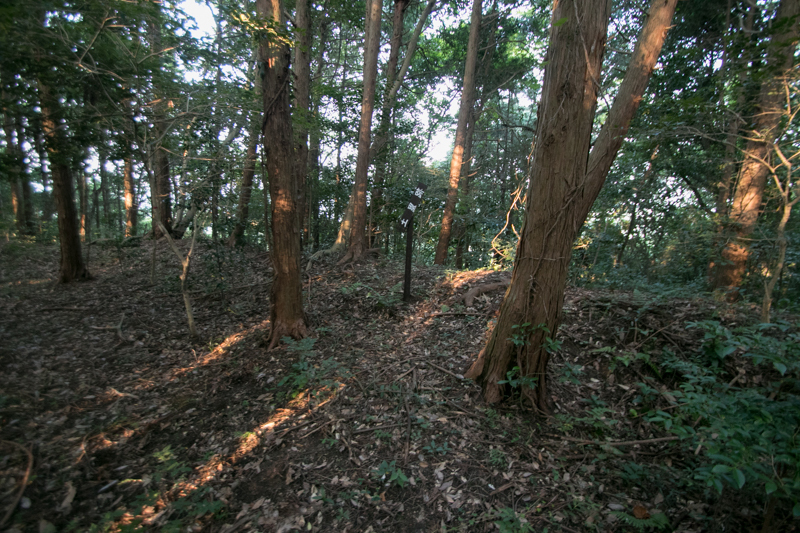 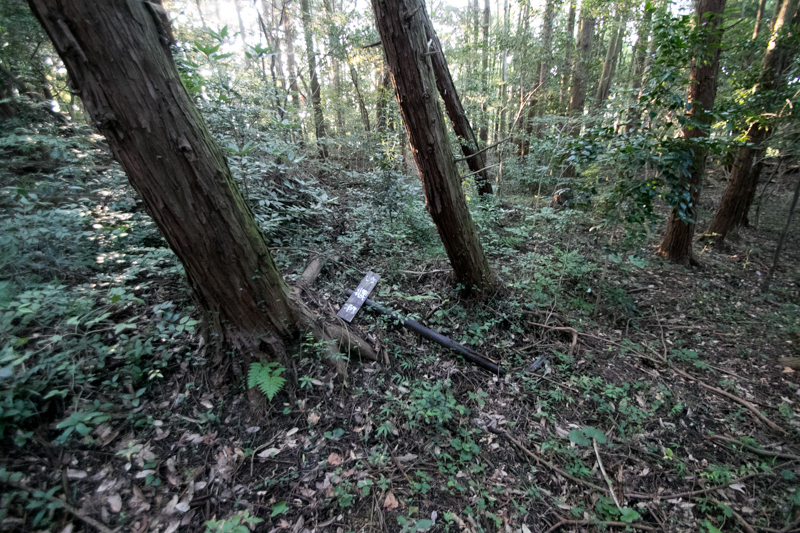 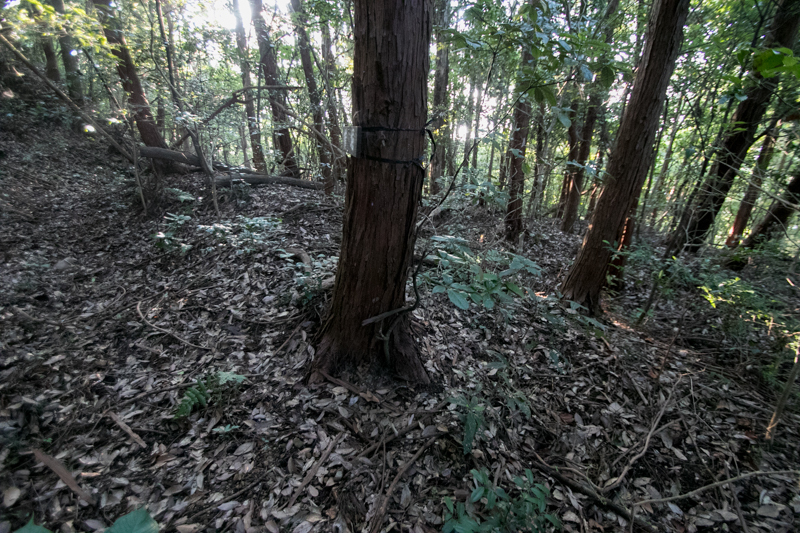 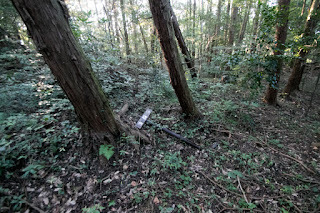 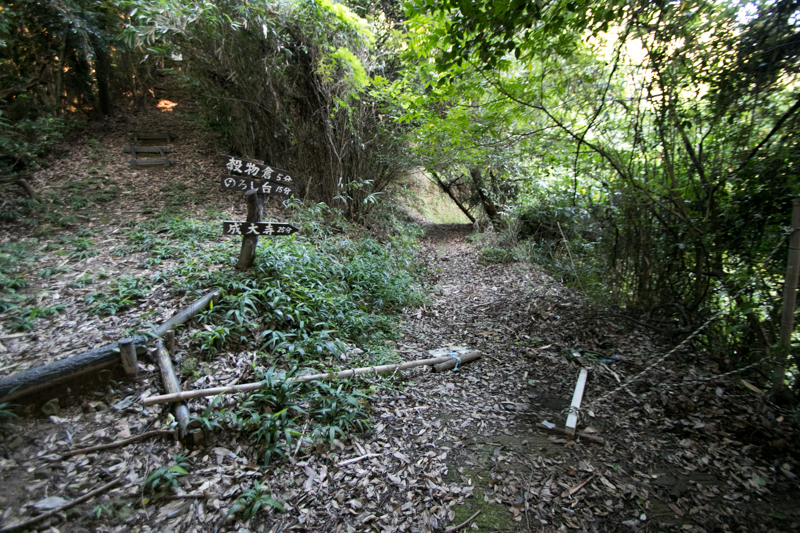 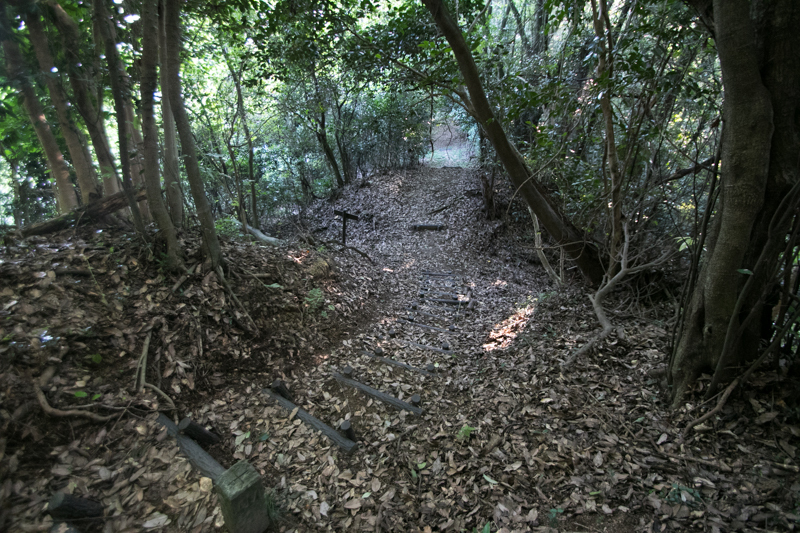 Result of this battle of Hetsugi-gawa was fatal for each clan. 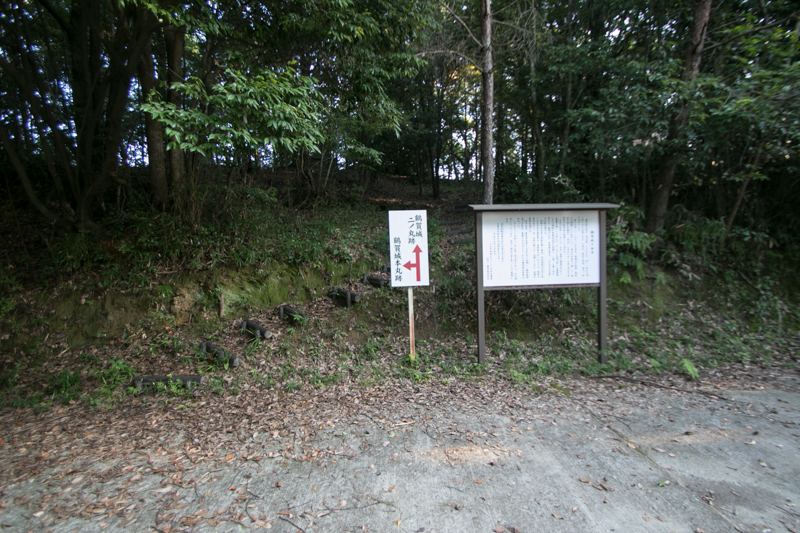 Chosokabe clan lost its successor, and there arouse an internal conflict for successor under Motochika who lost hope, and this became a remote cause of future loss of territory. 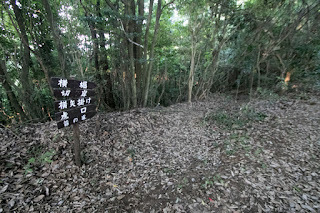 Sogo clan lost its leader became extinct, and Miyoshi clan which once dominated Kinki region totally ended its history. 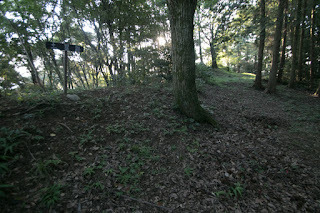 Furious Hideyoshi Toyotomi expelled Hidehisa Sengoku, and Hidehisa became an unemployed general. 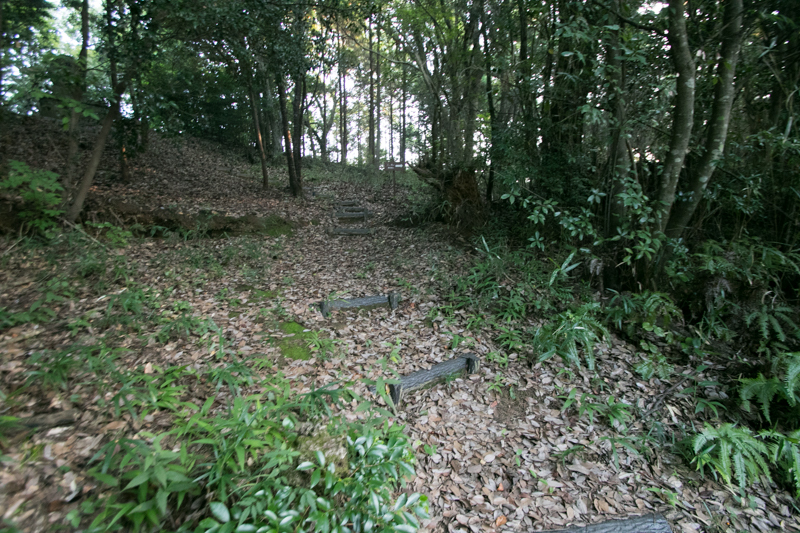 But Hidehisa appealed himself at Odawara campaign in 1590, and came back to the lord of Komoro castle (Nagano prefecture) and continued as feudal lord. 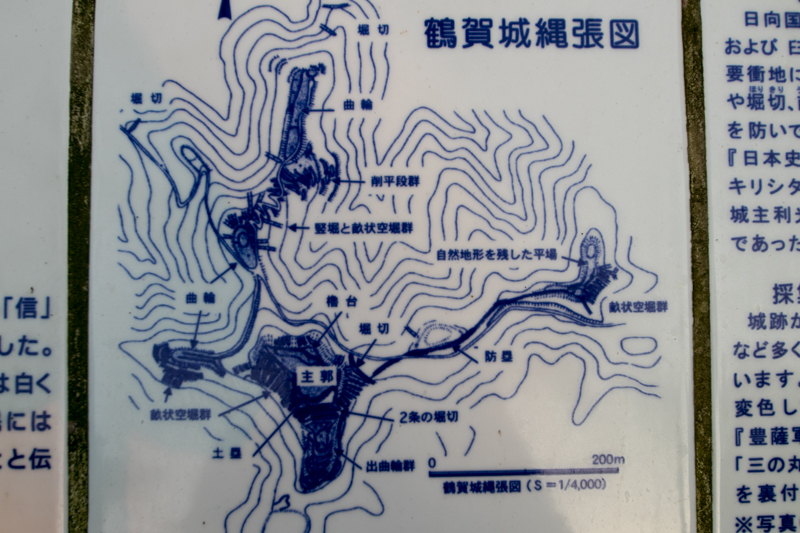 This fact seems quite unreasonable. 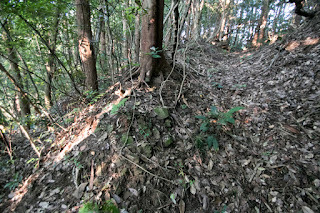 Tsuruga castle was still under Toshimitsu army but looked the defeat of Otomo army just below of the castle, finally Toshimitsu clan opened Tsuruga castle to Shimazu army. But desperate resistance of Tsuruga castle gave severe damage to Shimazu army and became the stagnation of Shimazu army at Funai city. 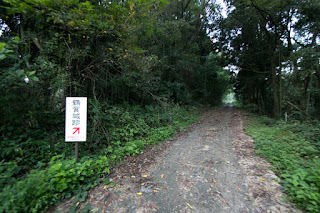 Anyway there is no obstacle for Shimazu army to Funai city. Now all building was lost but structure of the castle well remain on the mountain. 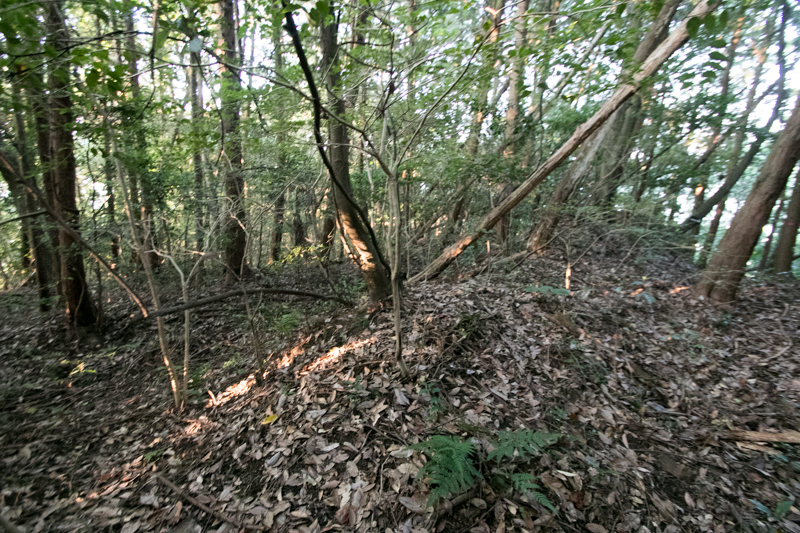 Combination of secure defense facility and not so flat surface of outer area shows tense situation of the castle preparing for the battle. 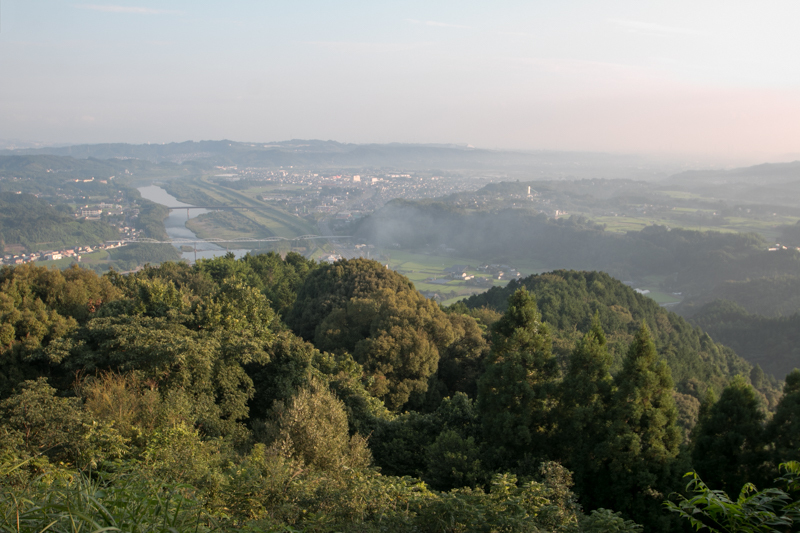 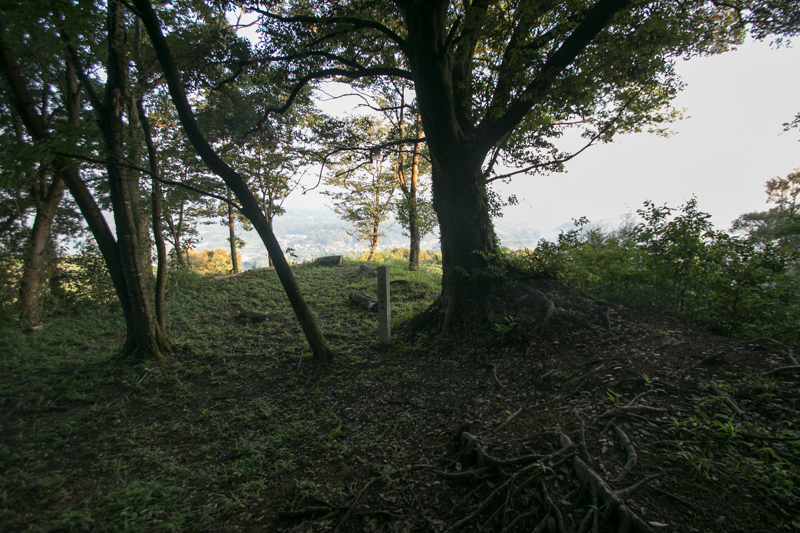 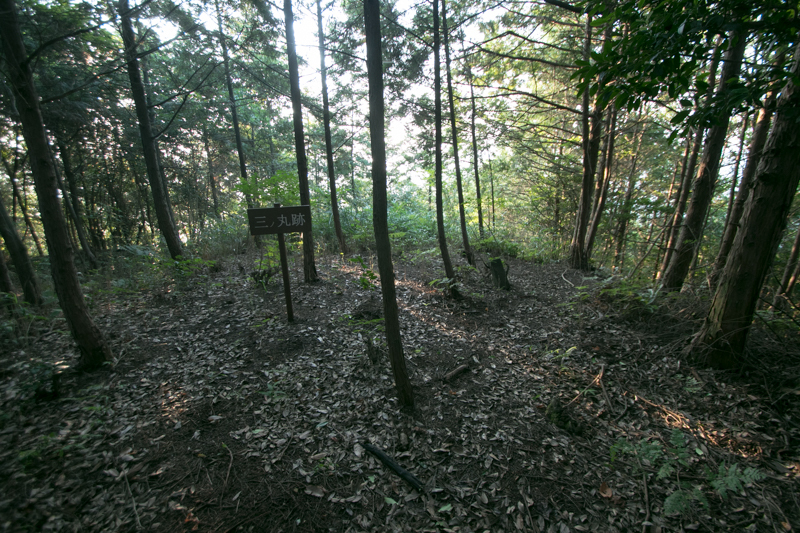 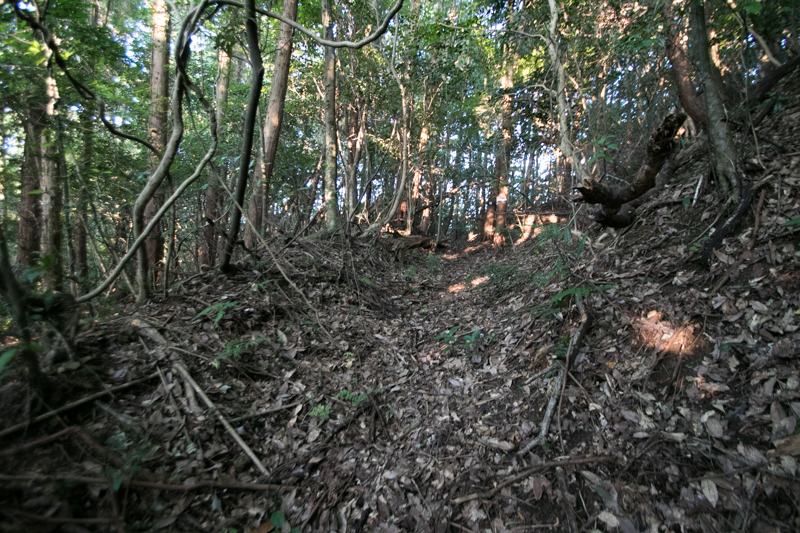 The battlefield of Hetsugigawa is well seen from the castle, and for that reason the defeat of Otomo army broke the fighting spirit of defenders. 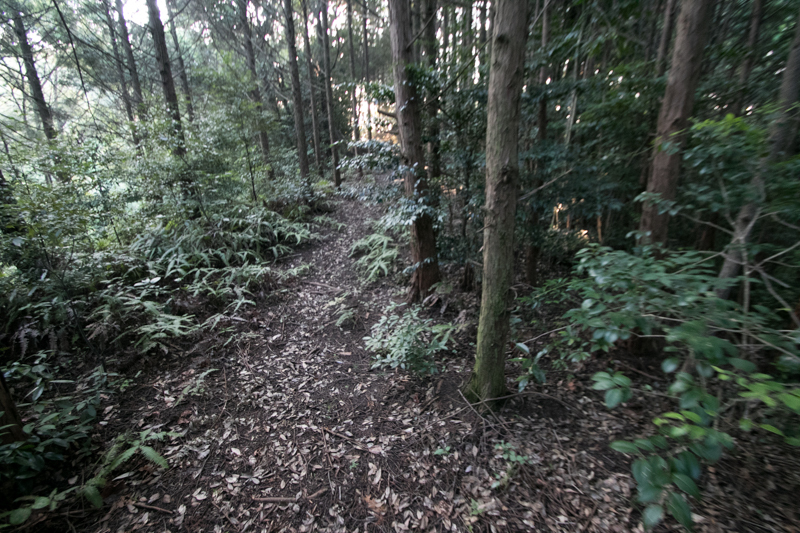 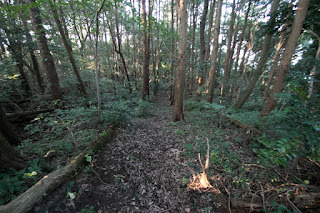 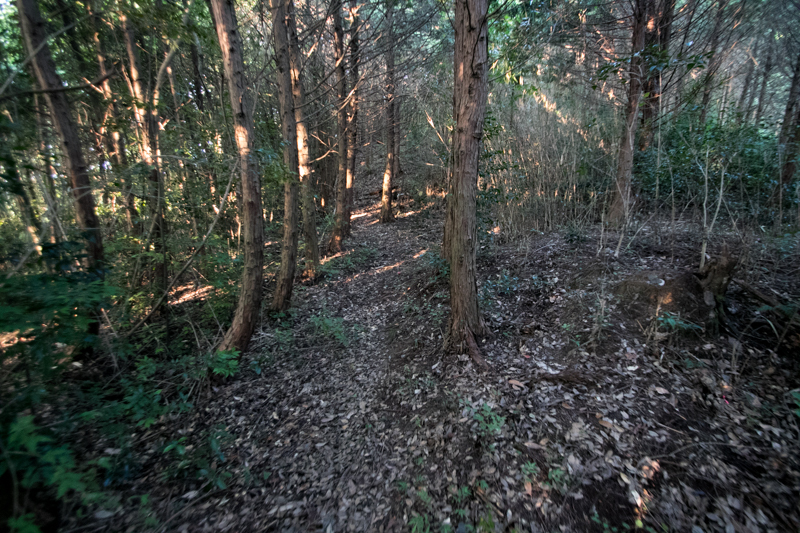 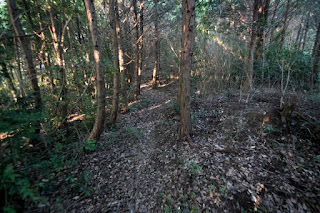 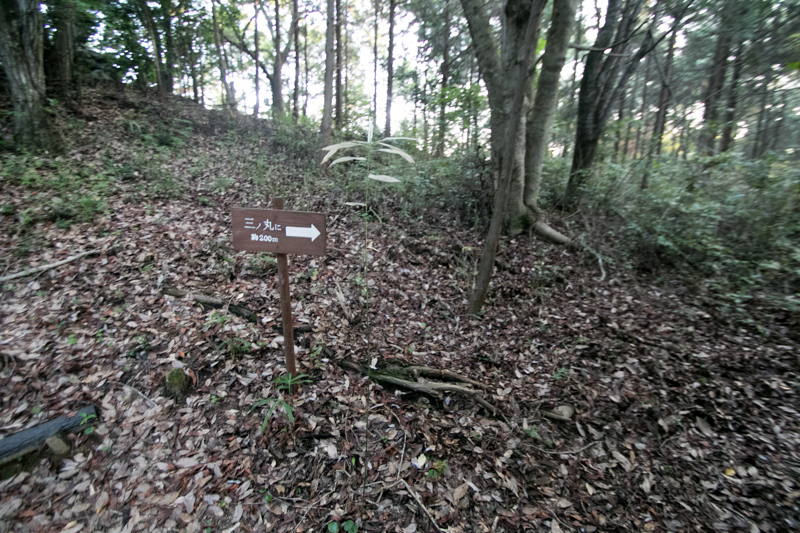 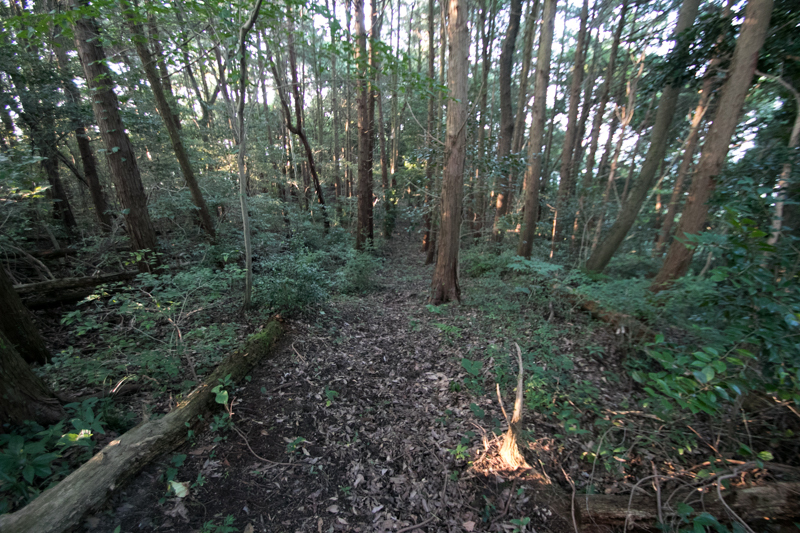 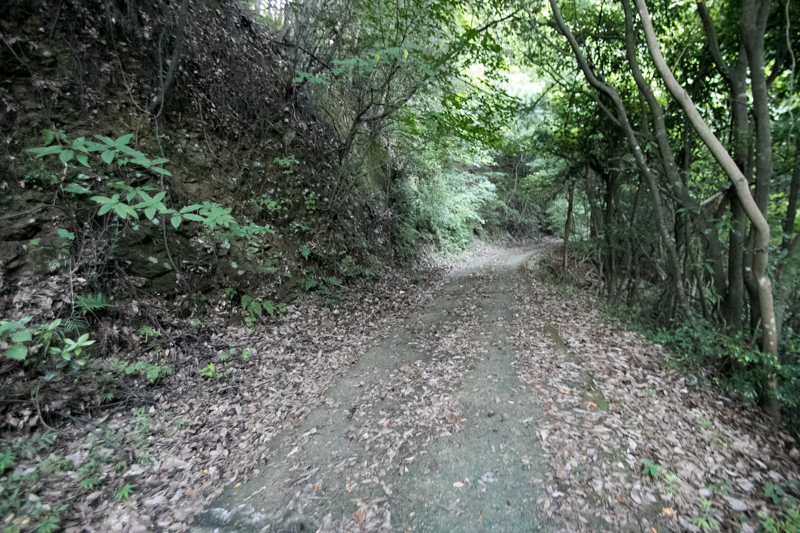 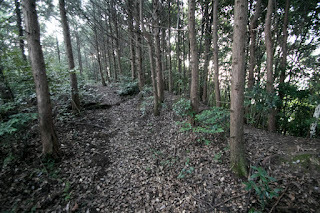 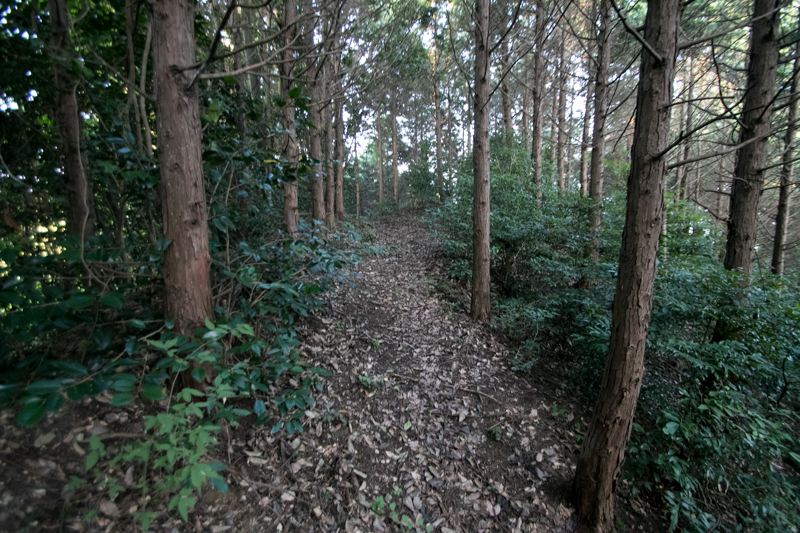 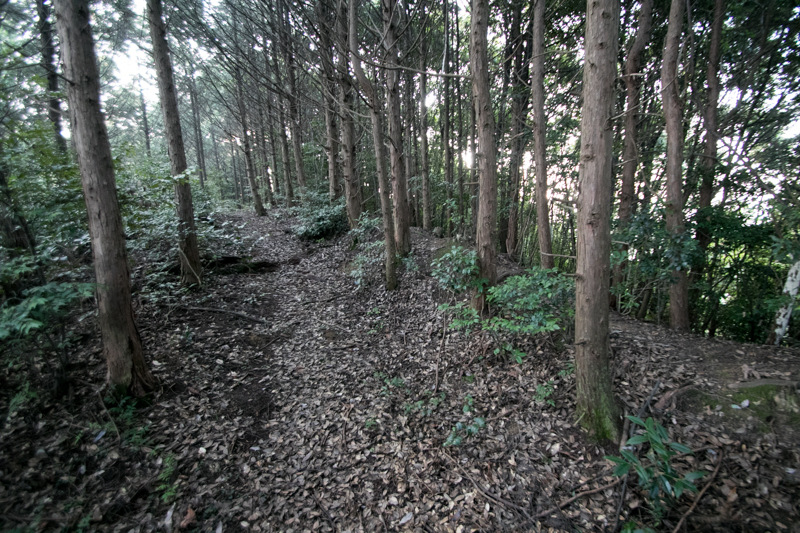 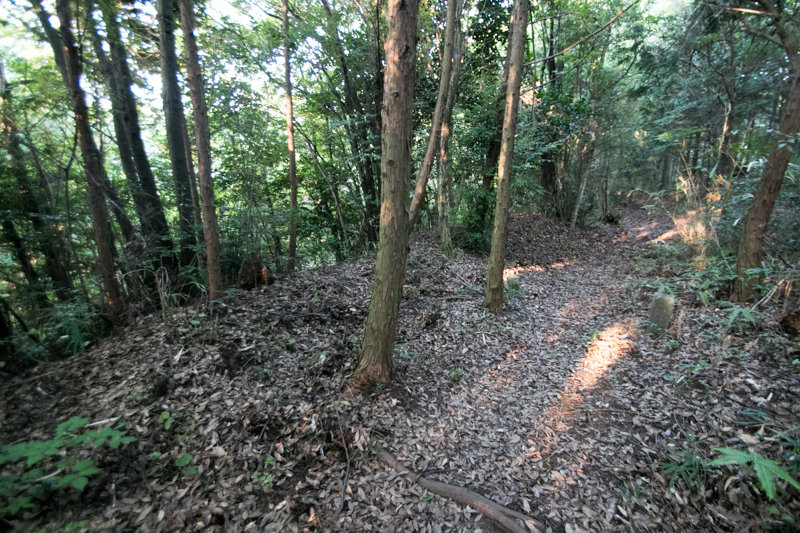 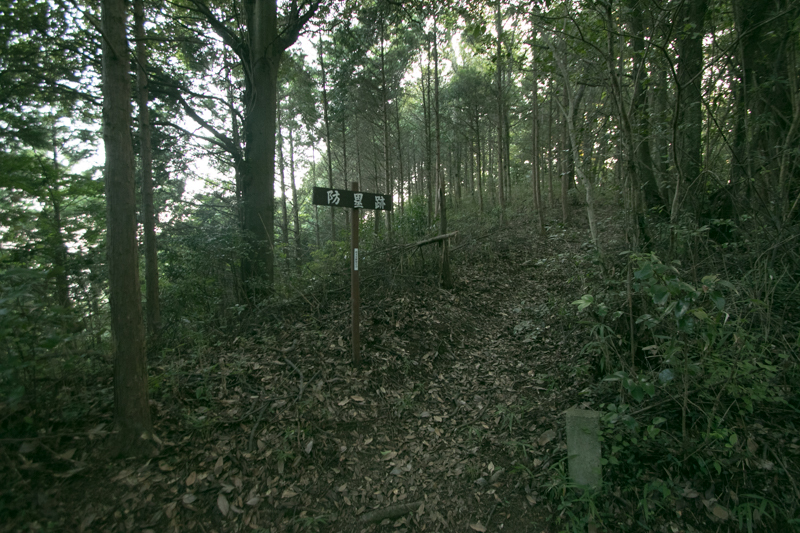 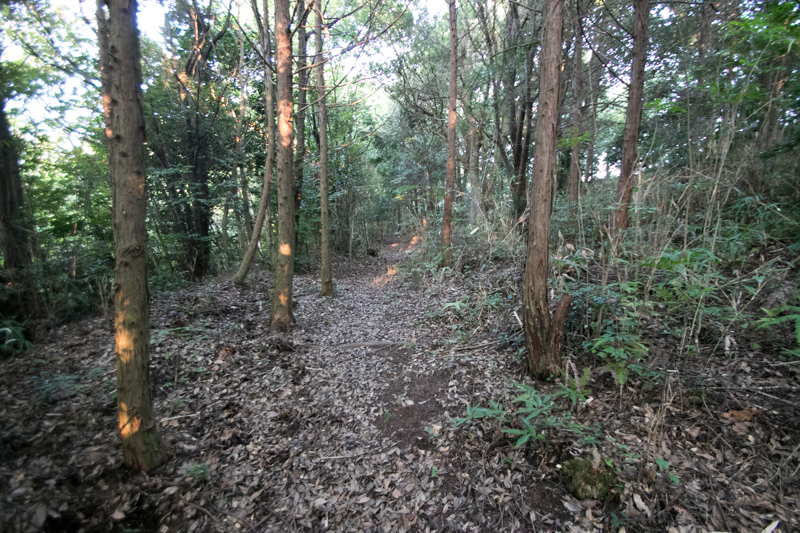 40 minutes walk from JR Kyushu Hohi-Honsen line Takenaka station. 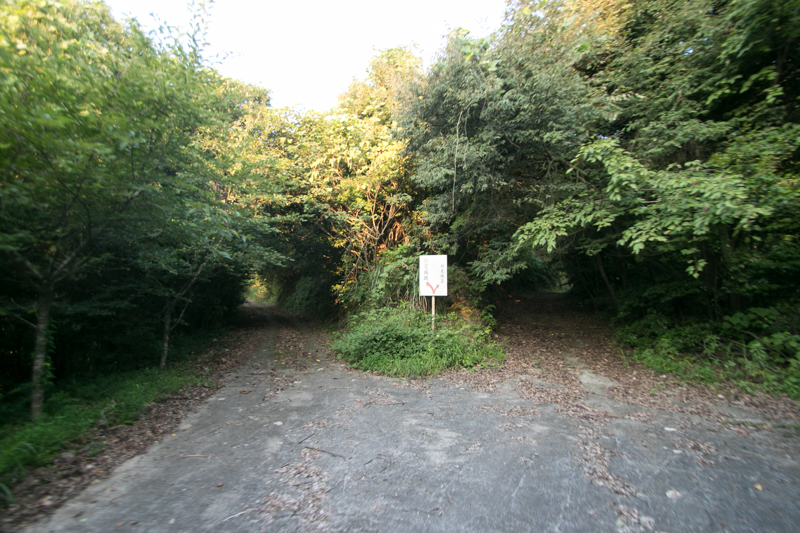 20 minutes drive from Oita Jidoshado Expressway Oita-Mera interchange.